Having left his goverment job at the end of the Japanese fiscal year in March to make a go of it as a professional runner, it was announced today that 2018 Boston Marathon winner Yuki Kawauchi, 32, has signed a three-year sponsorship deal with piano maker Yamaha Music Japan Co., Ltd.
“What I like about a Yamaha piano is that it’s all there in front of you in black and white, like life,” said Kawauchi, an avid pianist as a child before his parents made him pursue running. The endorsement deal includes the introduction of a “Make a Breakthrough” Kawauchi signature model acoustic grand piano, proceeds from the sales of which will go toward supporting Kawauchi’s training in the lead-up to the 2021 Eugene World Championships. A delighted Yamaha president Naoji Suda told reporters, “Kawauchi’s values are well-tuned to ours, one of the keys to any successful relationship. 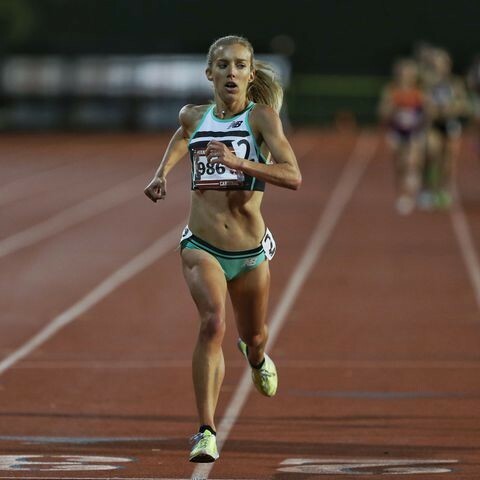 With her 30:49 10,000m on Friday night at Stanford, 27-year-old Emily Sisson is behind only Molly Huddle and Shalane Flanagan in American history. Sisson will next tackle her marathon debut on Apr. 28 in London. Marathon training is already showing a lot of promise for 26.2 newcomer Emily Sisson. With just under a month remaining until her debut. The race was executed with teamwork from Sisson, 27, and her training partner Huddle, 34, who are both coached by Ray Treacy. The runners switched off leading every few laps for the majority of the race in Stanford, California, which set the tone for a pace aimed to break the 2020 Olympic qualifying standard. Both runners competed at the 2017 IAAF World Track and Field Championships together and are currently in the middle of training to compete at the London Marathon in April, which made the return to the track all the more exciting. It might be hard to imagine a race in which the entire field DNFs, but it’s not unusual at the Barkley Marathons, and it happened for the second year in a row as the race came to an end earlier this morning. The results were somewhat better than last year, with six Fun Runs recorded (three 20-mile loops in under 40 hours). Last year Canadian Gary Robbins was the only runner to achieve a Fun Run, and there were no finishers. Last night with only two minutes to go before the 9:23 p.m. cutoff, Karel Sabbe and Greig Hamilton set off on loop four. 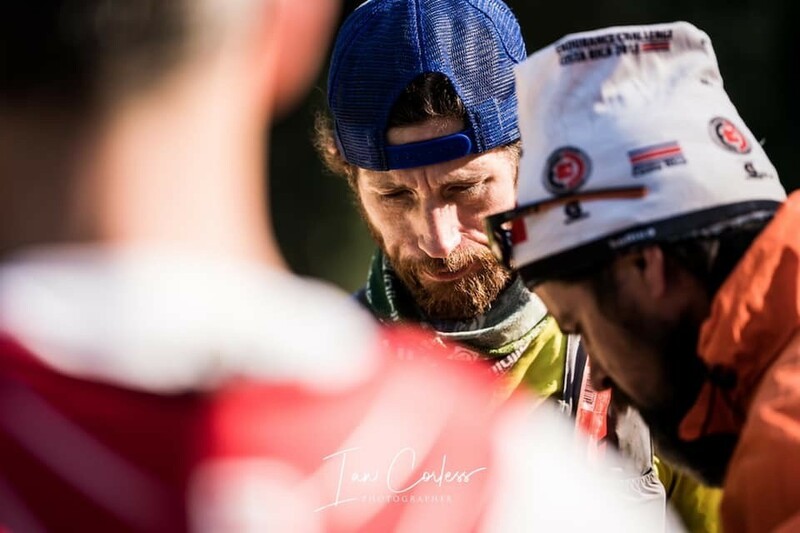 Shortly afterwards, Guillaume Calmettes arrived in camp, well within the cutoff for a Fun Run (which was 1:23 a.m. Monday) but too late to be allowed to attempt a fourth loop. He was tapped out (referring to the playing of Taps by a bugler for each runner who DNFs). Tomokazu Ihara, Johan Steene and Jamil Coury all finished Fun Runs last night, but were tapped out upon returning to camp. Greig Hamilton was the first to say “uncle” on loop four. Sabbe hung in for another few hours before packing it in and returning to camp around 3:30 a.m.
Gary Robbins noted the significance of the final two to drop out being Barkley “virgins.” Sabbe, a dentist from Belgium, got a lot of attention for setting the most recent FKT on the Appalachian Trail in August 2018. Hamilton, who is from Christchurch, New Zealand, was the 2016 world champion in rogaining (long-distance orienteering). But at the Barkley Marathons, your race pedigree means very little. Two of this year’s strongest contenders, John Kelly and Jared Campbell, shocked everyone following with their early DNFs. 2017 finisher Kelly, with a strong lead after two laps, headed for his tent for a nap, emerging later to announce he no longer wanted to continue, and tapped himself out on the bugle. Campbell, with three Barkley finishes on his resume, kept fans guessing for hours as to his whereabouts after rolling his ankle badly on the first loop. Running alongside Kenyan Lydia Cheromei through the opening five kilometres (17:36), she pulled away shortly thereafter, building a 13-second lead by the 10km point (34:44). She increased her lead over the Kenyan to 47 seconds by 15 kilometres and to more than a minute-and-a-half by 20. Thirteen men were in contention at 10km (31:27), a pack reduced to ten at 30km covered in 1:33:22, with Kibet running at the front. Tufa and Marius Kimutai brought the lead pack, now down to five, through 40km in 2:04:10, with Koech a second behind and Kenyan Michael Njenga Kunyuga and Ethiopian Gebretsadik Abraha shadowing the trio another second back. “I’ve done one marathon before and can say without hesitation that this will definitely be my last. If I have a target, it is to beat my last time of 4 hours 28 minutes. But, really, I just want to finish and show how Manchester stands with Boston, Christchurch, Pittsburgh and all the cities around the world who have suffered from appalling acts of hate in recent years. 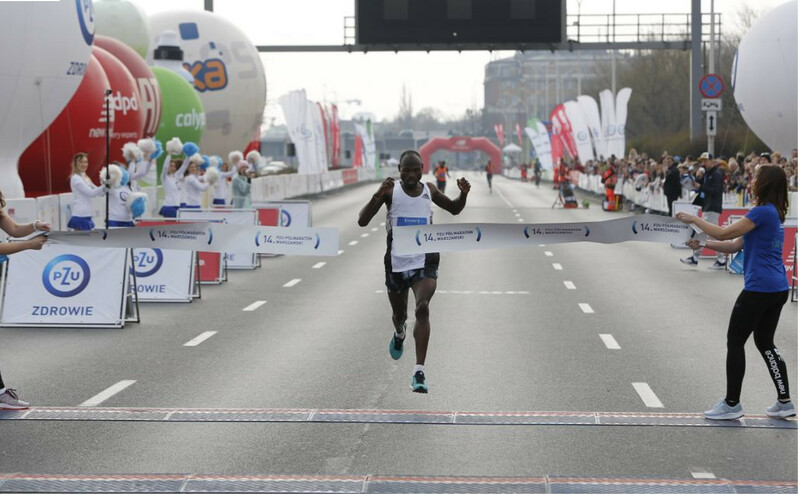 The winner of the 14th PZU Warsaw Half Marathon was Gilbert Masai (Kenya), who clocked 1:01:43. Also on the podium were: Cheruiyot Kirui Peter (Kenya) with time 01:01:57 and Sila Kiptoo (Kenya), who beat the marathon route at 01:02:03. The fastest Pole was Kamil Karbowiak with the time 01:06:51. The finish line of the 14th PZU Warsaw Halfmarathon was also surpassed by women. Just nine minutes after Gilbert Masai, Gladys Jeptepken (Kenya) finished the race, who defeated the distance at 1:10:19. Also on the podium were: Oichia Tabitha Wamubi (Kenya) with time 01:11:07 and Muluget Gela Abebech (Ethiopia), who beat the marathon route at 01:12:20. Natalia Mierzlikin was the fastest Polish woman with the time 01:18:35. Women in rural Embu County are the key beneficiaries of a project being rolled out in the region dubbed as the 'hifadhi project' which is being implemented by Livelihood Funds and supported by Schneider Electric. This will see women being given energy saving cooking stoves which are eco friendly. The "Hifadhi" stoves are 60 percent more efficient than the traditional three-stone open fires used in rural areas. "Given the past exemplary performance of Kenyan marathoners at the Paris Marathon, Schneider Electric targets to offsets for the marathon with the benefits gained from the village in Embu," Gilles Vermot Desroches, Chief Sustainability Officer, Schneider Electric said. "This has gone a long way in empowering women in the rural areas who are now able to engage in small scale commercial activities, thanks to Hifadhi stoves. And this is just but the beginning, Livelihoods and Climate Pal's clean cookstove project will be distributed to 60,000 households- benefitting more than 300 villages and 300,000 Kenyans." To mark the occasion, Schneider Electric is accelerating its ambition and commitments for climate by helping its customer to avoid 100 M tons of CO2 emissions thanks to cleantech solutions. 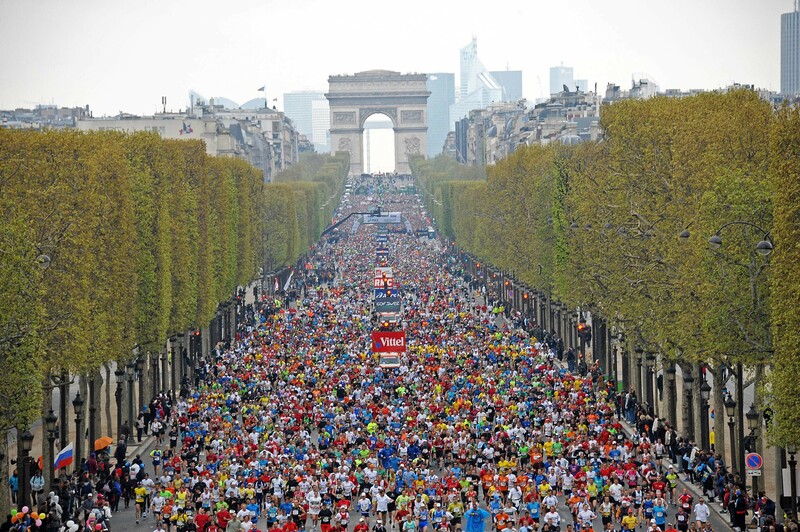 "As sponsors of the Marathon de Paris we want to engage our employees, customers and partners who are training to join our commitment to more sustainable cities," said, Chris Leong, CMO of Schneider Electric. We are making the cities more livable with our solutions for buildings, industry and homes and we want to do more to enable marathon runners and their families to get involved." 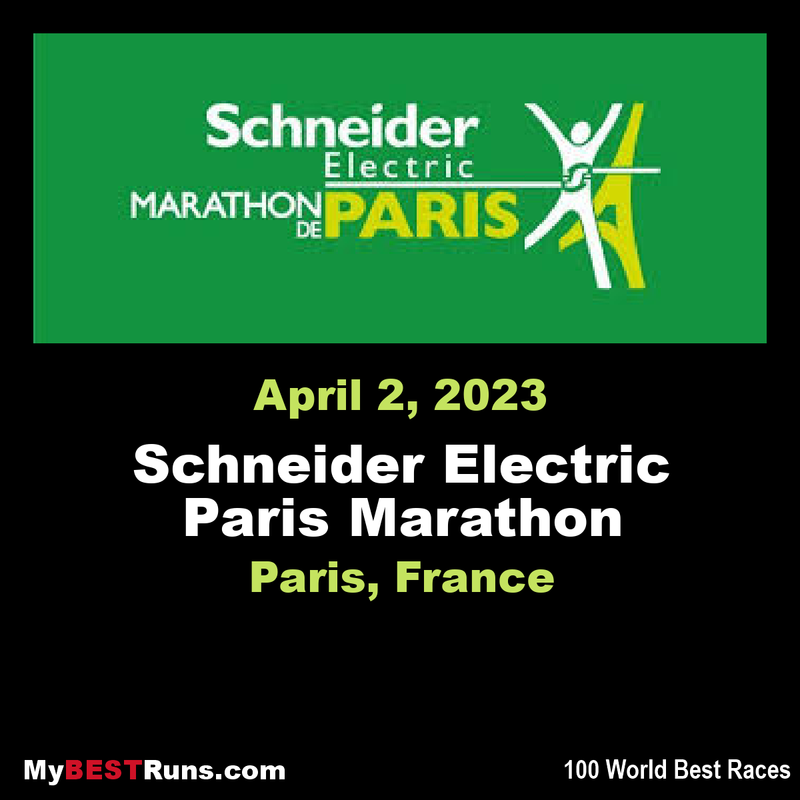 The project is part of Schneider Electric initiative of offsetting any unavoidable CO2 emissions to achieve 100% carbon neutrality for the Marathon de Paris which is sponsored by Schneider Electric. The story of John Almeda keeps getting better. The Sacramento young man with non-verbal autism is preparing to leave for Boston next week. He won’t be there to do any sightseeing. He has his sights set on the Boston Marathon. John qualified while finishing the California International Marathon last year on a broken ankle. A local company was so inspired by his story, they decided to sponsor him. Total Nutrition asked for a meeting and John’s mother Vanessa tells said she was shocked to hear what they had to say. “The first thing out of their mouths was–we sponsor athletes and we would love to take John on. We think he’s amazing and they’re paying all of our airfare,” Vanessa said. Even with the sponsorship, John still needs some help to pay for other parts of his journey to Boston. His family and friends are throwing him a send-off party Saturday, March 30th at New Helvetia Brewing on Broadway in Sacramento. They’d love to have the community stop by from 1 to 4pm. 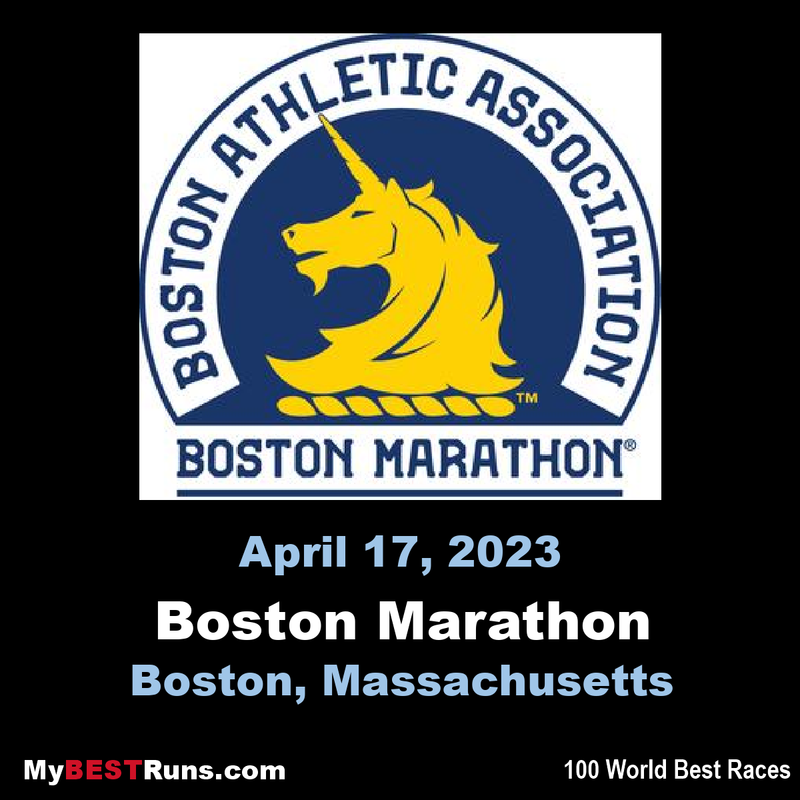 As for the marathon itself, John will be among the first wave of runners on April 15th in Boston. The world 5000m champion, Hellen Obiri became the first woman in history to win senior world titles indoors, outdoors and at cross country. The only man to achieve such a feat is Kenenisa Bekele. 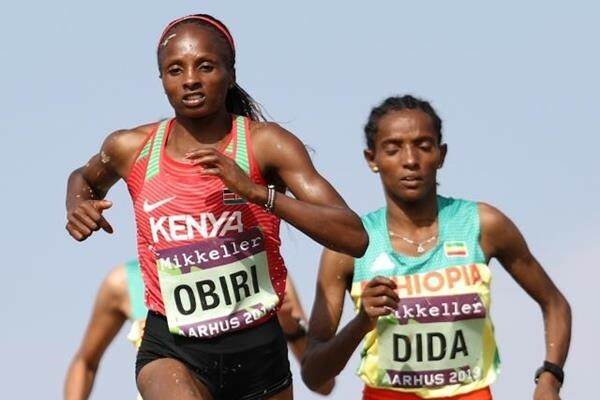 Obiri arrived in Aarhus in good form, having clocked 29:59 for 10km at the end of December and winning at the IAAF Cross Country Permit meeting in Elgoibar in January and at the Kenyan Cross Country Championships last month. The 29-year-old had clearly also thought about her tactics ahead of this weekend. She led the race from the early stages and could be seen visibly leaning into the hill as she tackled the climb up the Moesgaard Museum roof on each lap. At the end of the second of five laps, a group of five had already broken away, led by Obiri in 14:16, with sub-2:22 marathon runner Dera Dida, world U20 steeplechase silver medallist Peruth Chemutai, steeplechase world record-holder Beatrice Chepkoech and two-time world U20 cross-country champion Letesenbet Gidey in close procession. Two years ago, at his home championship in Kampala, Cheptegei looked all over the winner when he had dashed to a 60-metre lead at the start of the final lap. But his apparently decisive move came too soon. Half-way around the final lap he was in trouble. Soon after that he literally did not know where he was. Today in Aarhus was atonement day, as Cheptegei dashed clear of precocious teammate Jacob Kiplimo and defending champion Geoffrey Kamworor to take the world title by 25 meters in 31:40 over the 10,240m course. Again he did not know where he was, because he has never been a senior world champion before. Now, he had arrived at a long-held goal. It got better and better for Cheptegei. With Kiplimo second, Thomas Ayeko seventh and Joseph Ayeko tenth, Uganda wrapped up the teams race as well. That was another first, the first time Uganda has taken either a senior or junior gold medal. At senior level, the previous best was bronze medals in Mombasa in 2007 and Kampala last time. Despite his burn-out, it was Cheptegei’s 30th place finish which clinched the team bronze medal. He contributed, even while out on his feet. Some of that grit no doubt helped over the twisting, turning, climbing and swooping Aarhus course. As with all races on the day, the steep climb and headlong descent of the roof of the Moesgaard Museum played a major role in dictating the manner in which the senior men’s race was run and in determining how it finished. Cheptegei did not always look the strongest on the roof, but he was when it counted most on the final lap. The steep, uphill start turned normal world cross-country protocol on its head. The charge off the line in the men’s race looked familiar, but the first lap was by some way the slowest 2km split of the race, which then got quicker and quicker by the lap. Ugandan vests were always prominent in the lead pack, even when it numbered up to 30 in the early stages. Uganda started with four in the top 10 and finished the same way. Almost from the outset, however, it was Kiplimo who was the aggressor. 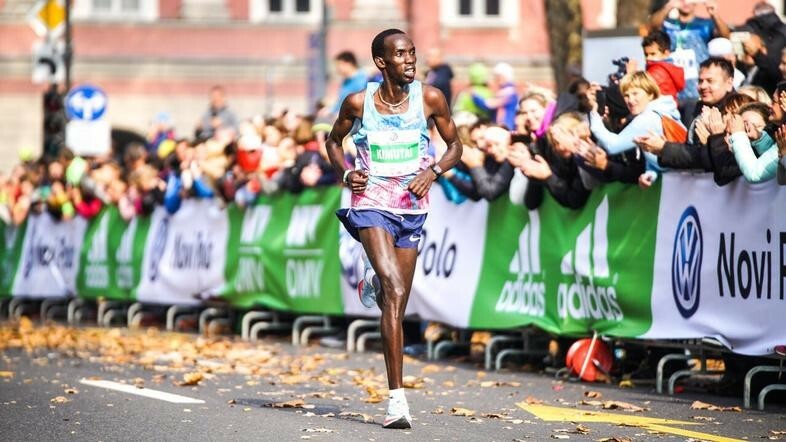 He pushed the pace up the roof in the second lap and soon after they entered the third lap he had pulled Cheptegei, Kamworor and Eritrea’s Aron Kifle clear. While Rhonex Kipruto and Selemon Barega had tried to bridge that gap, by the half-way mark of the race it was clear there were only four who could win. Into the fourth lap, that was down to three as Kifle dropped off, but the Eritrean athlete was still well clear of the chasers and held that place all the way to the line, improving one position on his Kampala race. Kamworor had raced conservatively, always shadowing every move but rarely leading himself. As the leaders entered the fourth lap, however, he appeared to be trying to assert his authority. 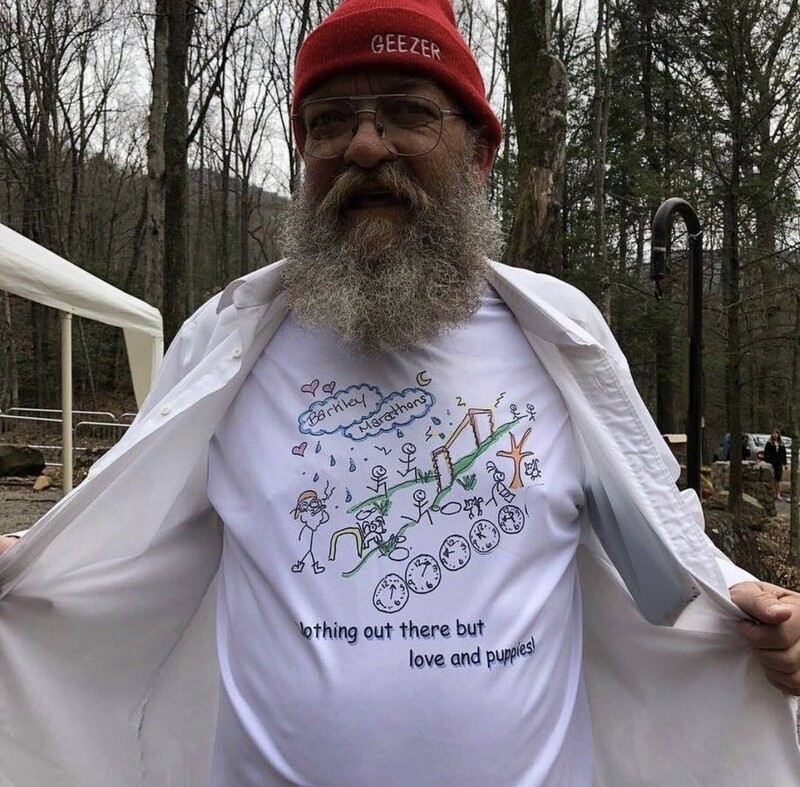 Some of the world's best runners are in Morgan County for this weekend's Barkley Marathons, a brutal 100-mile race that only 15 people have finished in 33 years. Elite ultra-marathoners from six continents packed the campsite at Frozen Head State Park on Friday in Wartburg, Tenn. Now they patiently wait for the unpredictable start of the Barkley Marathons, a sinister 100-mile race filled with obstacles that pester routine-loving runners. "There is nothing out there but love and puppies," laughed Gary Cantrell as he read the text on this year's shirt. "I think we'll have a higher finish-rate because of the positive wholesome attitude this year. Aren't there little hearts up in this corner [of my shirt]?" Cantrell, also known as Lazarus Lake or Laz, helped concoct the ridiculous race that only 15 people have finished in 33 years. Some runners are repeat-finishers, making a total of 18 times someone has completed the 100-mile race within the 60-hour time limit. If you have missed WBIR's many reports on the Barkley Marathons in previous years, here is a brief synopsis of the event: Runners write an essay and apply for entry in the Barkley Marathons. 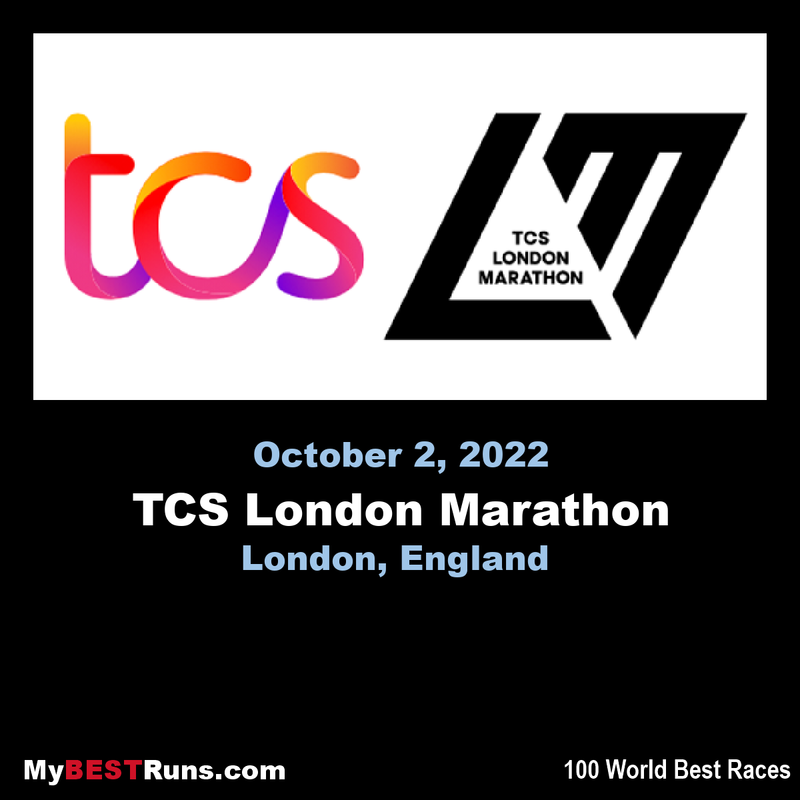 40 runners are chosen each year from around the world. Runners have 60 hours to complete five loops of 20+ miles through Frozen Head State Park. The course is unmarked and changes every year. Runners get a map (poorly-drawn) of the course before the race begins. The start time is unknown, other than sometime between midnight and noon on Saturday. A conch shell is blown to signal one hour until the start. Laz lights a cigarette to begin the race. The yellow gate at the campsite and Brushy Mountain prison are always part of the route. Keeping with Laz's positive attitude, there has technically been a winner every year of the Barkley: a runner or the mountain. "The mountain has been winning a lot more often than the runners. I think it has won 1,302 and been beaten 18 times," said Cantrell. Masai has bettered the one-hour barrier three times in his career, with a best of 59:31 from Copenhagen in 2016. The following year he won in Berlin with 59:57, and he ended the 2018 season with a best of 1:00:16 from Venlo. Making his debut on Polish roads at the age of 37, the Kenyan is the prime candidate to challenge the course and Polish all-comers’ record of 1:00:48. Kirui has an even more impressive career record, with five sub-one-hour clockings and a personal best of 59:22, set when winning in Prague in 2014. The most recent of these performances was a win in Krems in 2016 in 59:53. Two other Kenyan runners with a history of good performances on the Polish road circuit will also be major contenders. Hillary Maiyo, with a career best of 1:01:05 from 2017, will be running in Warsaw for the fourth consecutive year and hoping to go even better after taking fifth, fourth and third in previous editions. David Metto, a 1:02:24 man, was the winner in last autumn's Warsaw Marathon and will attempt to keep his good streak in the city going. Another one returning to the Polish capital is El Hassan Oubaddi, the Moroccan who finished fourth in the race last year with 1:02:52 and has since improved his PB to 1:02:40 last November. Also in the field is his compatriot Jaouad Chemlal, with a 1:02:31 from Marrakech last year. Not to be discounted is Wycliffe Biwott, the winner from Tirana in 2017 with a 1:01:18. He will be hoping to make a return to form after missing the 2018 season. Starting as the clear favorite in the women's race is Naomi Rotich. The Kenyan comes into it off the back of a personal best of 1:08:19 in Ras Al Khaimah last month. That was her fifth career sub-1:10, with earlier ones including victories in Breda and Dronten in 2017, as well as Madrid in 2018. Conditions permitting, Rotich looks ready to challenge the course record of 1:09:06, which is also the fastest time ever achieved on Polish soil. 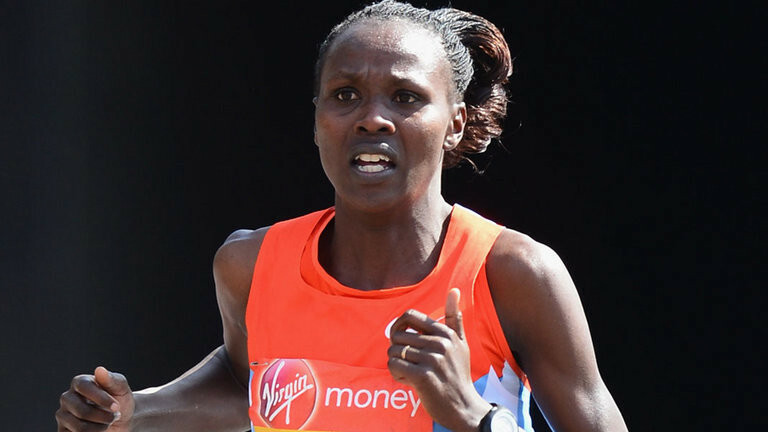 The main challenge to her dominance is expected to come from fellow Kenyans Gladys Kipkoech and Naomi Vaati. Kipkoech ran 1:10:13 to win in Hamburg last year, while Vaati set her best of 1:10:17 just over a month ago in Guadalajara. Another woman in form is Abebech Gela Mulugeta, who set a PB of 1:11:07 this year to win in Santa Pola. The men’s course record belongs to Ethiopia’s 2017 winner Afewerk Mesfin, who clocked 2:09:49 to mark the first ever sub-2:10 result since the race launched in 2011. Nine sub-2:10 runners will line up for the top honours at the southwestern Chinese city this year and Kimutai is the fastest entrant on paper thanks to his personal best of 2:05:47 set in Amsterdam in 2016. He came close to that mark two years ago when he clocked a winning time of 2:06:04 in Rotterdam. 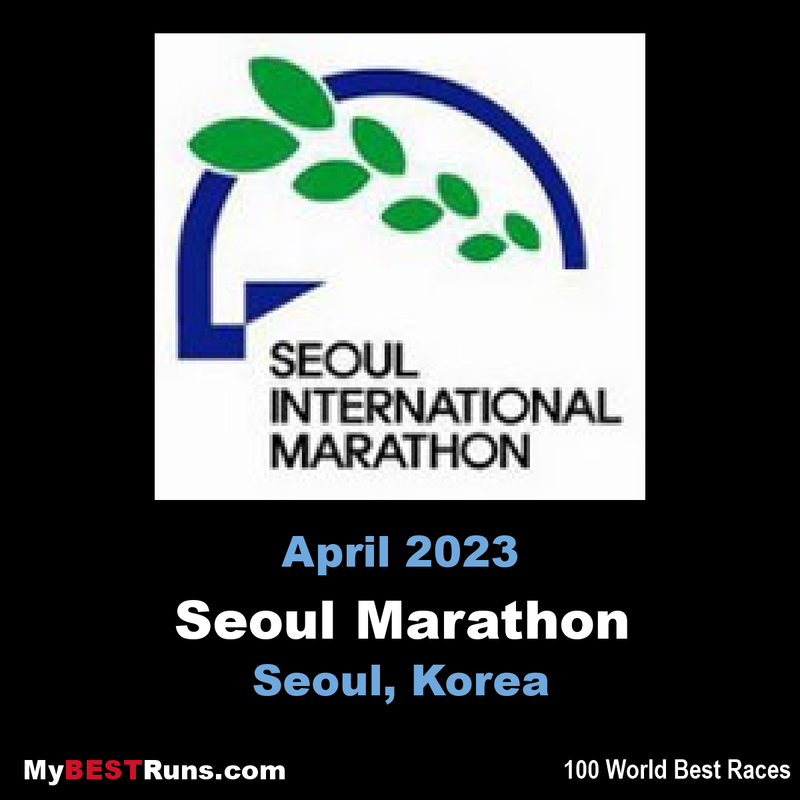 His only outing over the 26.2-mile distance last year was a fourth-place finish in Seoul in 2:07:45. 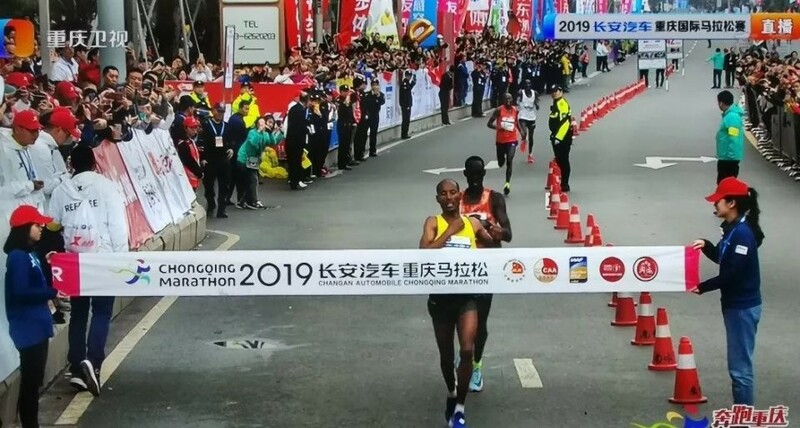 It will be Kimutai’s first appearance in Chongqing but his third race in China following a victory in Danzhou in 2014 and a runner-up finish in Dongying in 2016. Ethiopia’s Gebretsadik Abraha could be the biggest challenge to Kimutai. Although his career best of 2:06:21 was set back in 2012 from his third-place finish in Amsterdam, the 26-year-old Marrakesh and Prague marathon winner has an impressively consistent record over the classic distance, registering a sub-2:10 result each year for the past seven years. 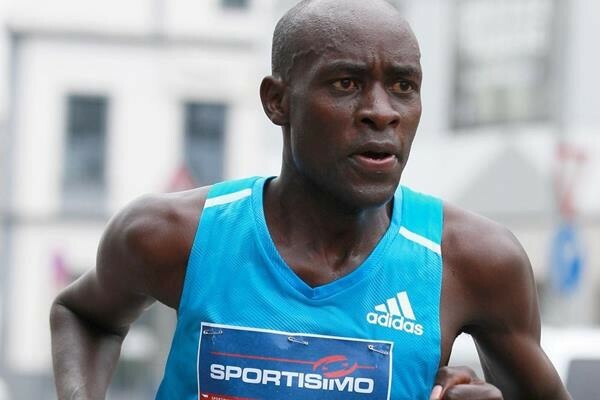 Kenyan veteran Philip Kimutai Sanga is another man to watch on Sunday. The 35-year-old has a lifetime best of 2:06:07 from the 2011 Frankfurt Marathon but has not bettered 2:10 since 2017. The field also includes Asbel Kipsang, whose PB of 2:07:30 was set in Seoul three years ago, and Edwin Koech, a 2:08:17 performer who set the course record in Dalian last May. The women’s field is led by Lydia Cheromei of Kenya, who will carry on the hope of breaking the long-standing 2:22:41 course record set by local runner Wang Jiali in 2012. Although usually competing with runners just half of her age, the 41-year-old Cheromei is still highly competitive. Last December she ran 2:22:11 to finish second at the Valencia Marathon, 41 seconds shy of her PB recorded back in 2012. She also clocked 2:28:48 to win in Rabat 12 months ago and four months earlier she clocked 2:23:31 to finish as the runner-up in Shanghai. Aberu Mekuria also competed in the Valencia Marathon last year and improved her PB by nearly one minute to finish fourth in 2:24:35. It will be the third race on Chinese soil for the 35-year-old, who won the 2016 Hengshui Lake Marathon in 2:26:07. 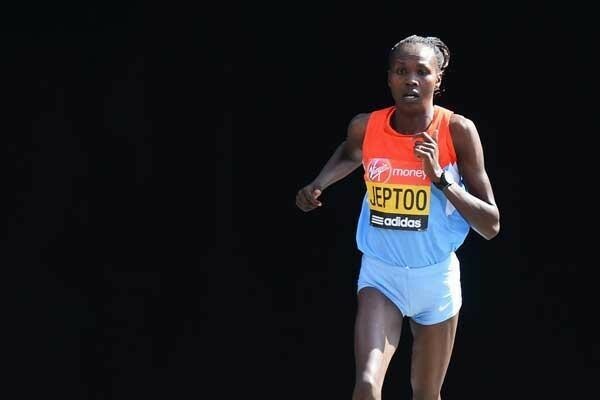 Flomena Chepchirchir is the second fastest on paper in the field with a PB of 2:23:00 set in Frankfurt in 2013. But the 37-year-old Kenyan is struggling to return to her best form in recent years as her best performance last year was a sixth-place finish in Prague in 2:32:10. 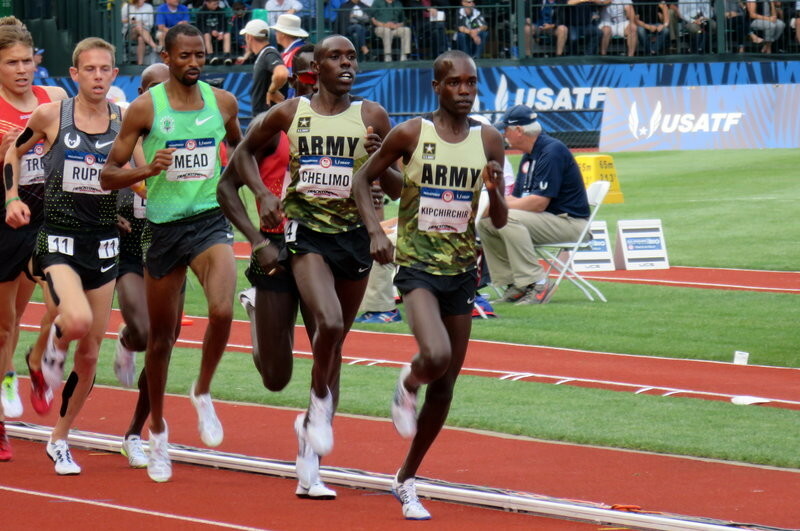 Chepchirchir will be contesting the race for the first time. It has been 25 years since a European athlete last finished in the top 10 in the U20 men’s race at the IAAF World Cross Country Championships. The last individual medallist – a gold one at that – from Europe came 10 years before that. But Jakob Ingebrigtsen could be capable of rewriting both of those statistics when he lines up for the U20 men’s race in Aarhus, Denmark. 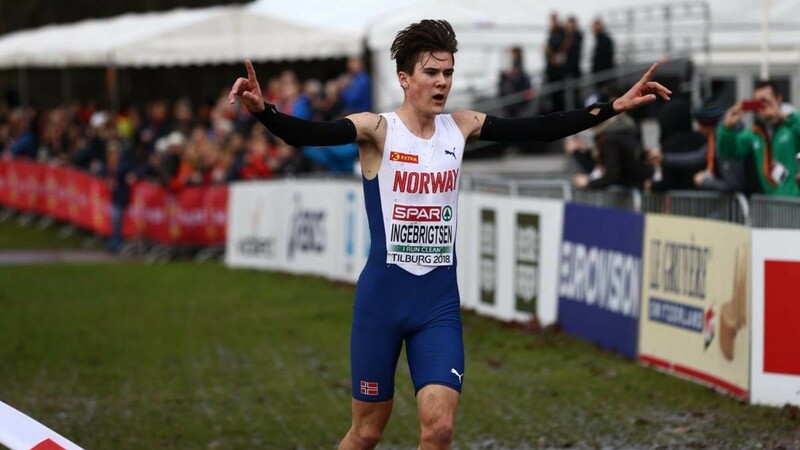 The 18-year-old Norwegian caused a stir last year when he won the 1500m and 5000m at the senior European Championships in Berlin, setting a continental U20 record of 13:17.06 in the latter. One month prior he had set a European U20 1500m record of 3:31.18 in Monaco. After winning his third consecutive European U20 cross-country title in December, he beat world indoor record-holder Samuel Tefera over 1500m in Dusseldorf in February and went on to win 3000m gold and 1500m silver at the European Indoor Championships in Glasgow. Ingebrigtsen boasts the fastest track PBs of the field and has considerably more international racing experience. But he has never raced farther than 6.3km and could become something of a target if some of the stronger nations utilise team tactics. All 39 individual medals on offer in the U20 men's race from the past 13 editions have been shared between Kenya (23), Ethiopia (10) and Uganda (6). The same three nations once again look poised to battle it out for individual and team medals. Unsurprisingly, the Kenyan team appears to be the strongest. Led by national U20 cross-country champion Samuel Chebolei, the team also includes Commonwealth Youth Games 3000m champion Edwin Kiplangat Bett, who finished eighth in the U20 men’s race two years ago in Kampala, and Leonard Bett, the world U18 steeplechase champion. The Barkley Marathons, which is “rumoured” to take place this weekend, is surrounded by folklore about prison escapes and encounters with wild boar. If you’ve never been to Frozen Head, you might think of it as a mysterious, forbidding place whose only reason for existence is as the site of Laz Lake’sinfamous 100-miler. But Jamil Coury who is returning to the Barkley for the fifth time this year, you’ll see that it’s just a state park like any other, with trails and campgrounds where families go to relax a little later in the season, just like they do in state, national and provincial parks across North America. Coury and another Barkley veteran, Guillaume Calmettes of France, spent a few days together last month, running the trails in Frozen Head to get in shape for this year’s race. They make Frozen Head look positively benign. Last year there were no finishers, thanks largely to terrible weather. Spring weather can be unpredictable anywhere, and last year Frozen Head got walloped with a massive rainstorm, dense fog and cold temperatures on race weekend. 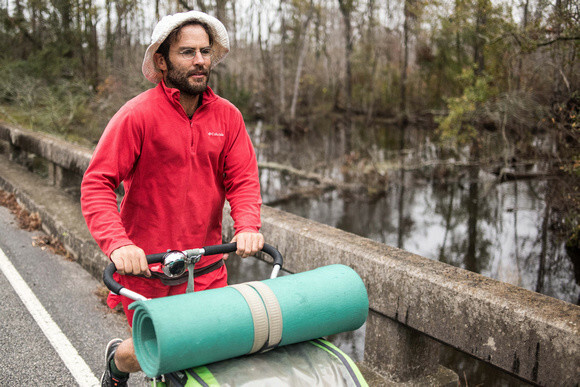 Running five 20-mile loops in 60 hours with no course markings and no organized aid stations is hard enough–add bad weather to the mix, and any hopes of finishing were dashed for most people after a loop or two. Gary Robbins completed a “fun run,” three loops in under 40 hours. This year could be a different story. The forecast for Frozen Head is for temperatures of between 50 F (10 C) and 68 F (20 C), with thunderstorms possible on Saturday. We’ve also just learned that Nicky Spinks is among the starters. 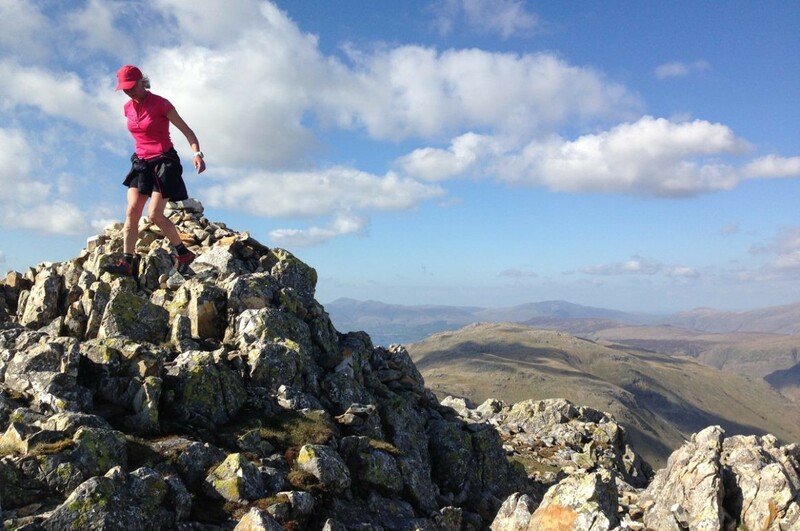 The British ultrarunner ran a double Ramsay Round last year, has also run a double Bob Graham Round, and crewed for Damian Hall at UTMB last year. Let’s hope the will be some finishers this year. 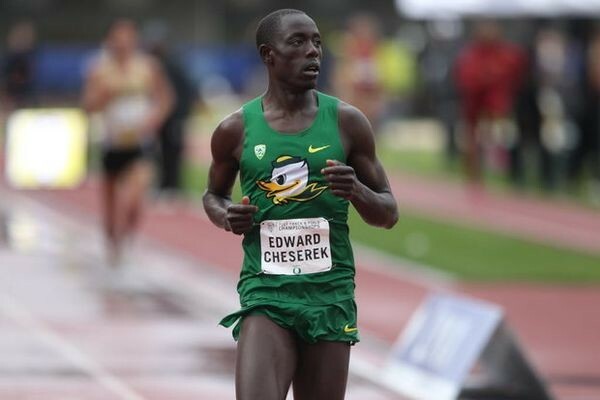 The most decorated runner in NCAA history and one of the hottest superstars in athletics, Edward Cheserek will make his Carlsbad 5000 debut at the 34th running of ‘World’s Fastest 5K’ on Sunday, April 7, 2019. At the age of 25, Cheserek has established himself as an international star in the running world that only shines brighter as his career progresses. In high school he attended Saint Benedict’s Preparatory School in New Jersey, where he twice won the Foot Locker National High School Cross Country Championships. He was a 17-time collegiate national champion at the University of Oregon when he graduated in 2017. 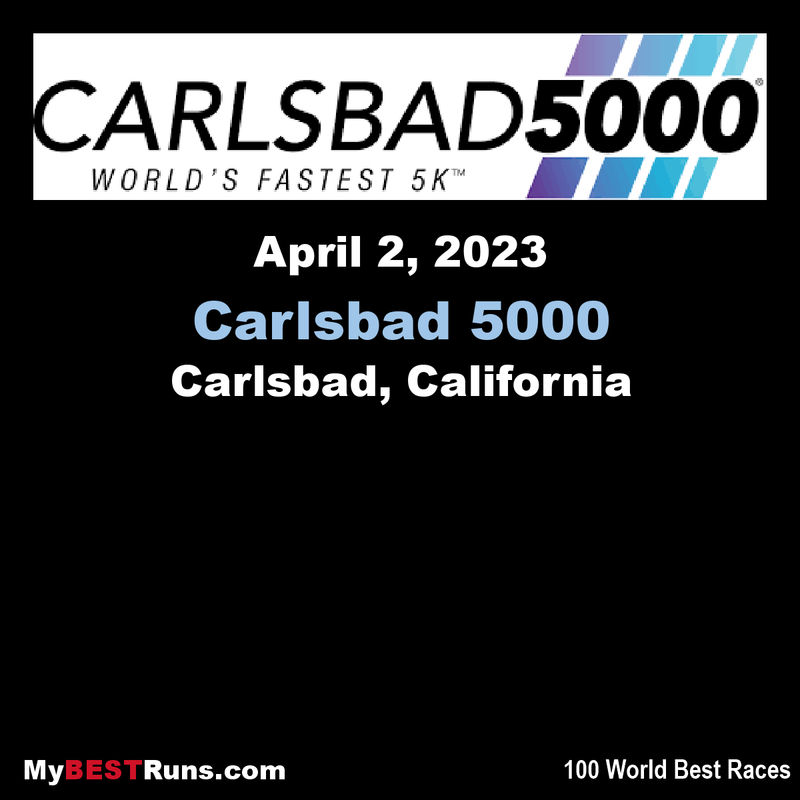 “Carlsbad 5000 is one of the most historic races on the road running circuit. To attract a talent such as Edward Cheserek is testament to the event and its reputation,” said Matthew Turnbull, longtime elite athlete recruiter for the event. Since 1986, thousands of runners and walkers have converged on the seaside village of Carlsbad in early Spring to enjoy the scenic course or to set world records at the Carlsbad 5000. The annual road race attracts amateur, competitive, and professional runners from around the world. The men’s event record and world 5K best is Kipketer’s 13:00, which he ran in 2000 & 2001. The modern, IAAF recognized 5k World Record was set in Monaco this February by Switzerland’s Julien Wanders with a time of 13:29. My Best Runs director and Runner's World founder and publisher for 18 years, Bob Anderson will be running the Carlsbad 5000 for the 26th time. Over the years his best time was 17:09 while in the 50-54 age group. He hopes to be in the top three or even win the 70-74 age group this year. 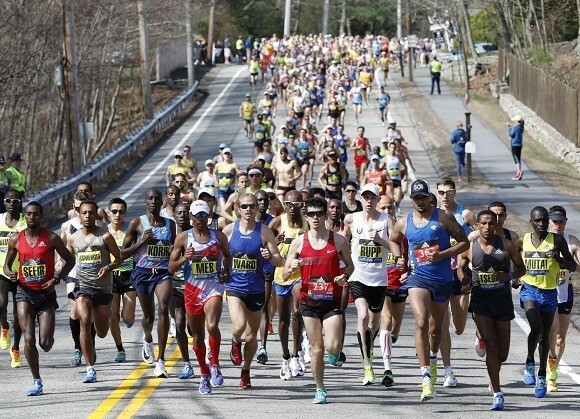 Boston Marathon champions Meb Keflezighi, Tatyana McFadden, Bill Rodgers, Joan Benoit Samuelson, Greg Meyer and Uta Pippig will join Shalane Flanagan, Ryan Hall, Deena Kastor, Becca Pizzi and Team Hoyt as ambassadors for this year’s race. “As Patriots’ Day nears, we welcome our 2019 Elite Ambassador Team for the Boston Marathon,” said John Hancock Chief Marketing Officer Barbara Goose. “Through their mentorship and inclusiveness, these accomplished athletes inspire runners of all ages and abilities during race week and throughout the year at John Hancock sponsored events. Ambassadors will cheer on the 30,000 participants racing from Hopkinton to Boston on Patriots’ Day and attend media, community and race week events, including making appearances at the Runner’s Seminar at the Expo, surprise “meet and greets” near the finish line, and at the John Hancock Elite Athlete press conference on April 12 at 10 a.m. at the Fairmont Copley. As if running the Two Oceans Ultra Marathon isn’t an astonishing enough feat, one man has taken on an epic challenge to run it 50 times in the 50 days leading up to the race. 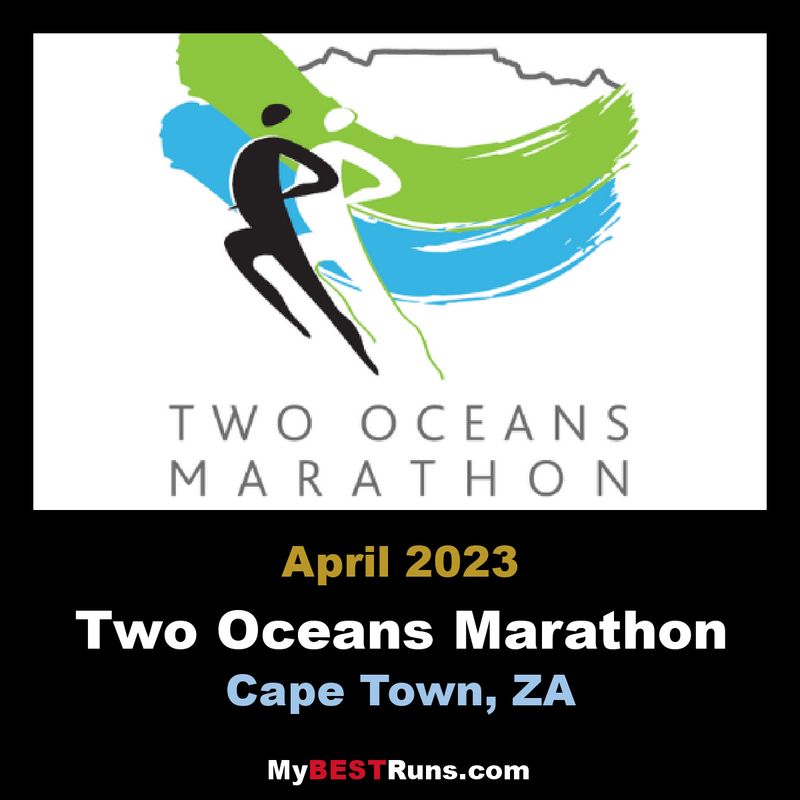 Dave Chamberlain is celebrating the Two Oceans’ 50th anniversary by running the race 50 times over - totalling a mind-blowing 2800km. He's already clocked up 25 of the 50 runs, putting more than 1400km behind him. Determination keeps him going. “I think it’s just pigheaded stubbornness,” Chamberlain said. He’s doing the 50-50-50 challenge in aid of BirdLife South Africa, raising funds for the African Penguin Relocation Project. It is not Chamberlain’s first crazy long-distance challenge. The Pretoria-born athlete has run the length of Argentina, crossed Canada and run through the Namibian desert to Port Elizabeth. 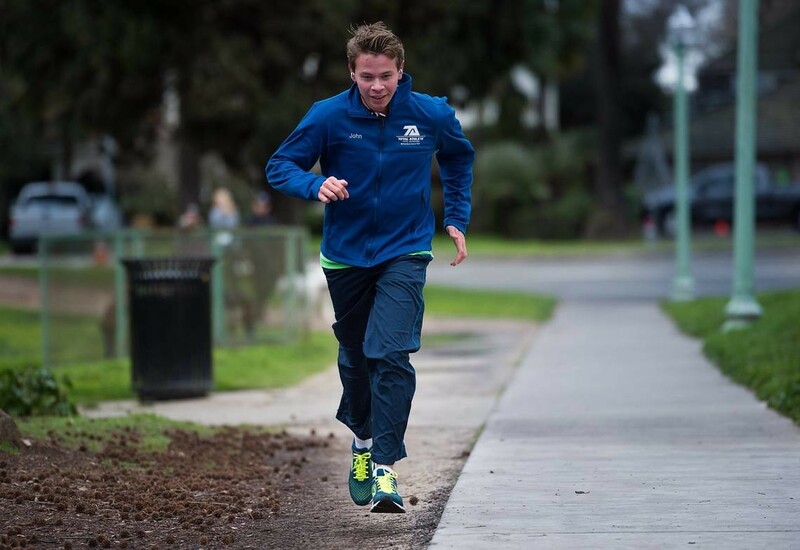 To tackle this latest endurance adventure, he wakes up every morning at 4.30am, and focuses on eating a carb-rich breakfast before getting his run started at 6am in Newlands. “I don’t worry about tomorrow or day 30, otherwise I’d do my head in,” he said. “Days 4, 5 and 6 are awful, as your body is getting used to it. Everything is inflamed, and your tendons feel like they want to snap. “Then the body learns how to adapt and ups its efficiency at dealing with all the waste products.” Once your body gets used to the demands of running an ultra marathon over and over, he said that each day’s run becomes active recovery from the day before. “The body actually heals itself while you’re running,” he said. Approaching the halfway mark this week, Chamberlain said he was feeling physically strong, but running the same loop every day was taking its toll psychologically. “I feel like my body has adapted to the distance, it’s holding up much better than anticipated,” he said. GO! 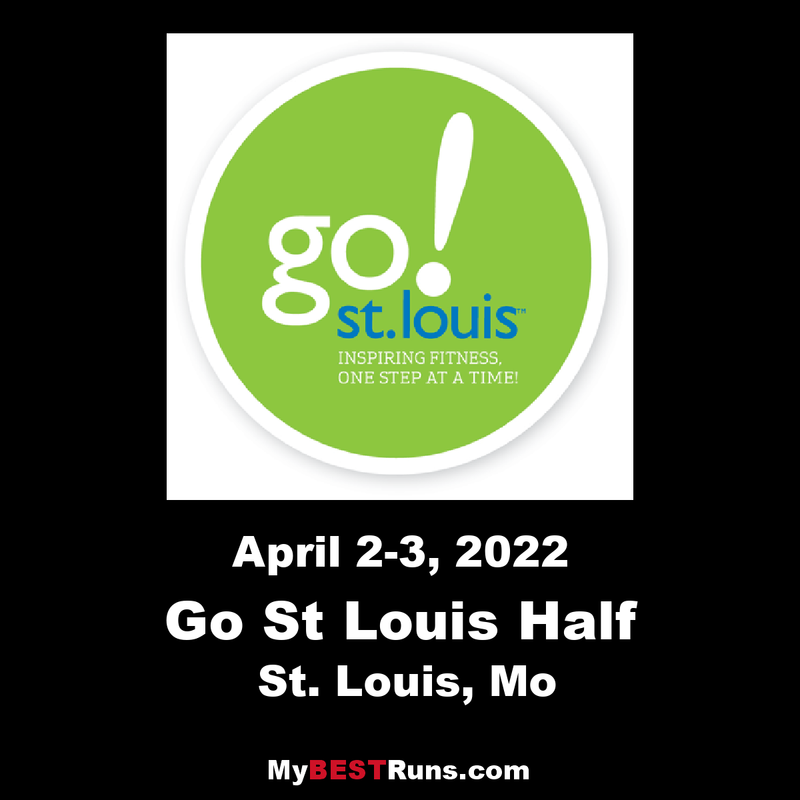 St. Louis announced today that due to flooding conditions on Leonor K. Sullivan Boulevard under the Arch, which was to serve as the scenic backdrop for GO! St. Louis' April 7 Marathon, the finish line site is moving to Market and 14thStreet, just west of Soldier’s Memorial. In addition to the revised finish line area, race organizers were required to make some additional course modifications along the route. 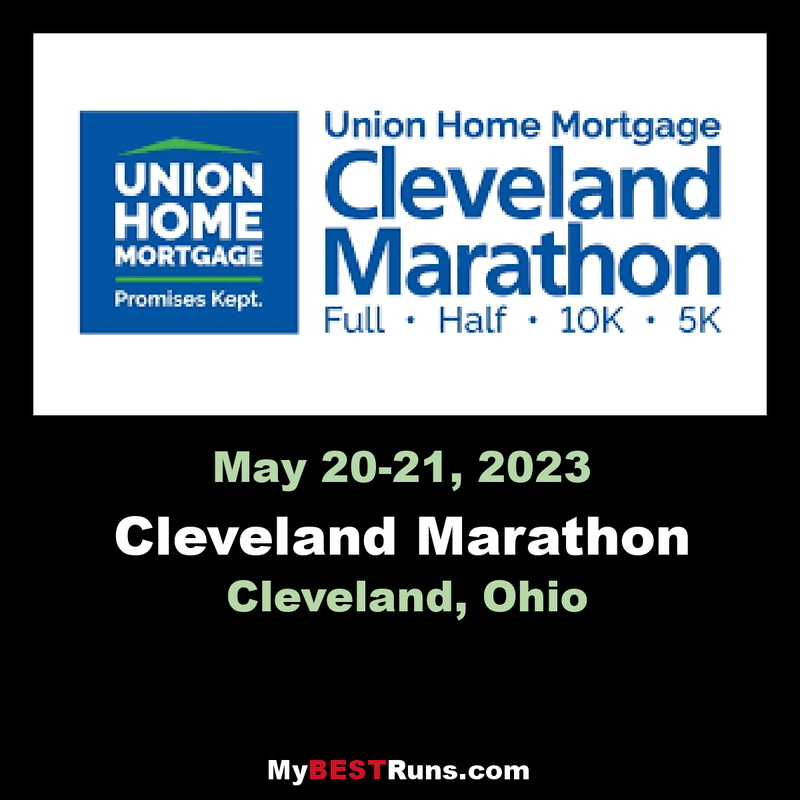 The modified route affects Marathon, Half Marathon, Marathon Relay, and 10K participants. “With the street currently closed due to flooding, the uncertain potential for more rain, and the safety of our participants, it was necessary to make some adjustments to the course, finish line and post-race activities location, said Mona Vespa, GO! St. Louis President. Overall, even with these adjustments we were able to maintain the integrity of the course, which showcases our great city and beautiful Forest Park. The GO! 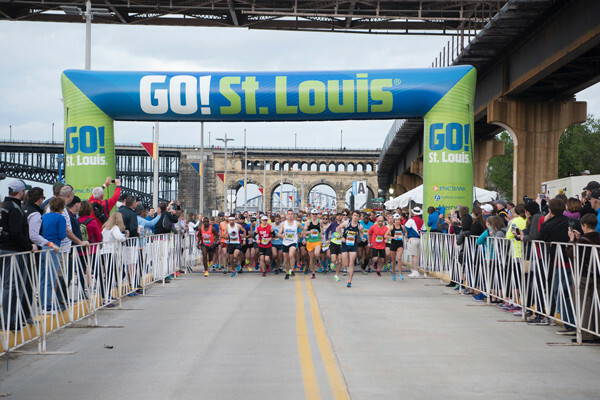 St. Louis Marathon & Family Fitness attracts more than 10,000 participants and thousands of additional spectators to the St. Louis region each April, and has become one of the premier fitness events in the Midwest. Brendan Beauregard has never been a long distance runner, but that isn’t holding him back from running the Boston Marathon in honor of his older brother. “He’s trying to fight for his life, trying to live on so it’s what I want to do and I just think about that whenever I hit a tough mile or a tough hill,”said Beauregard. In September 2017, Patrick Beauregard, a corporal in the Marines and a newlywed, received the devastating diagnosis. “I had severe stomach pains and that was it just out of nowhere. It wasn’t improving so the next day I went into the ER. They were almost a split-second away from sending me home. They finally decided to run a CT scan of my abdomen and that’s when they saw the tumor,” Patrick says. 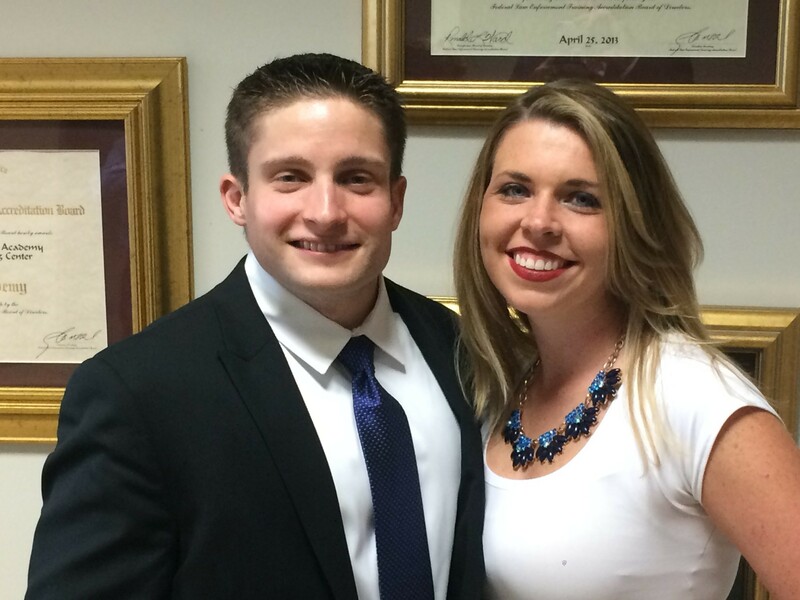 Doctors told the 29-year-old he had stage four colon cancer. It had spread to his lungs. “He was really the picture of health, yet he was diagnosed with stage four disease and the reasons underlying that are unknown,” said Dr. Kimmie Ng, the director of the Young-Onset Colorectal Cancer Center. What doctors do know is that there has been an alarming increase in the number of young adults diagnosed with colorectal cancer. Patrick has been through 33 rounds of chemotherapy. Next month he will start a clinical trial. Despite all the hardships and uncertainty, he’s still working, staying positive, and on a mission to increase awareness among young adults and medical professionals. 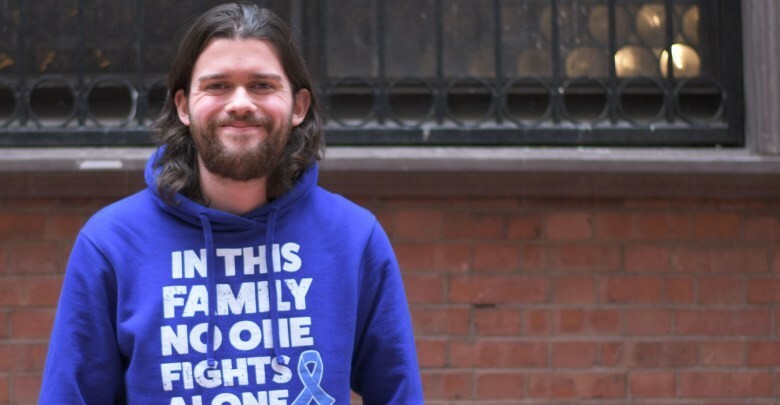 “The doctors and physicians, they also thought there’s no way I had cancer so I’m glad that now that there’s more awareness and I hope we break that stigma.” said Patrick. But, more than anything, Brendan hopes to make his brother proud. “He’s always been my hero and my best friend in life,” said Brendan. World Cross Country defending champion Geoffrey Kamworor has sent a warning to his opponents ahead of the world championships in Denmark that he is not ready to relinquish his title. Kamworor will lead team Kenya for the championships to be held on the 30th of March seeking to make it a third in a row. As defending champion, let’s take Kamworor first. Not only will he be going for his third straight senior title at cross-country in Aarhus, but also for a sixth straight world title in six years, his two previous cross-country victories in Guiyang (2015) and Kampala (2017), augmented by World Half Marathon championships in 2014, 2016 and 2018. 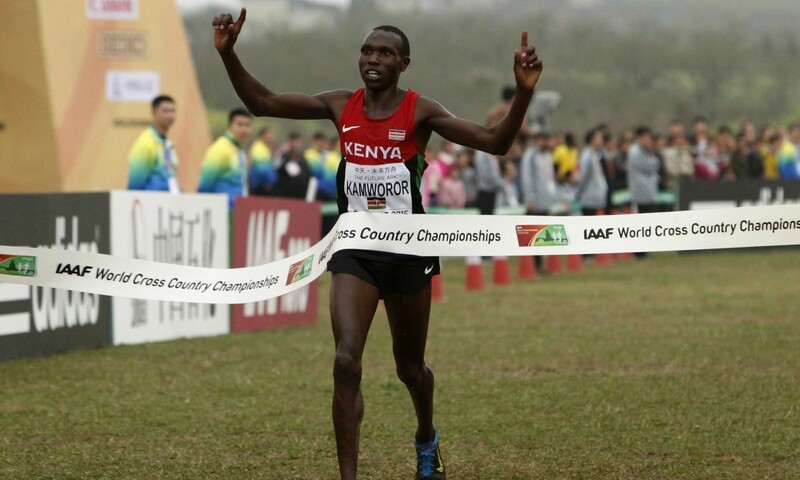 Kamworor has already joined the group of men to have won at least two world cross-country titles. A further triumph this weekend would put him in the select company of those to have won three or more – Kenenisa Bekele (six), John Ngugi and Paul Tergat (five) and Carlos Lopes (three). He finished only fifth in the Kenyan championship, won by Amos Kirui, but neither the Kenyan, nor Ethiopian, trial has proven a reliable guide to relative finishing order at recent world championships. Expect Kamworor to present on the start line at Aarhus in excellent shape. He deserves the status of the "man to beat." There will be $310,000 of prize money on the line, certainly the most of any cross-country races. This Friday is the Stanford Invitational, and the start lists are stacked. American half-marathon studs Molly Huddle and Emily Sisson are using a 10,000m to prepare for the upcoming London Marathon, and many NCAA athletes will open their outdoor seasons at the race. In addition to top American runners, droves of Canadians are heading down to the warm California weather to get their spring seasons underway. Sisson announced after a blazing 1:07:30 Houston half-marathon that she would be making her marathon debut this spring in London. Some predict that Sisson’s marathon debut could be one of the fastest in American history, and if her half is any indication, she has a bright future at 42.2K. 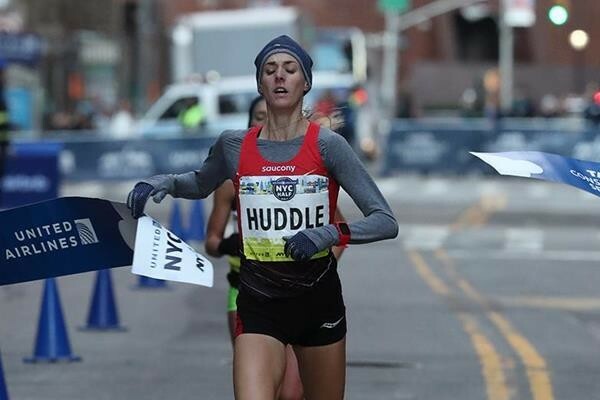 Huddle, who ran her marathon debut at New York in 2018 in 2:26:44, will also be in London and hoping to run faster. This Saturday is the World Cross-Country Championships in Aarhus, Denmark. Many of the world’s best athletes will be competing, including world half-marathon champion and world 10,000m gold medallist Geoffrey Kamworor in the senior men’s race. 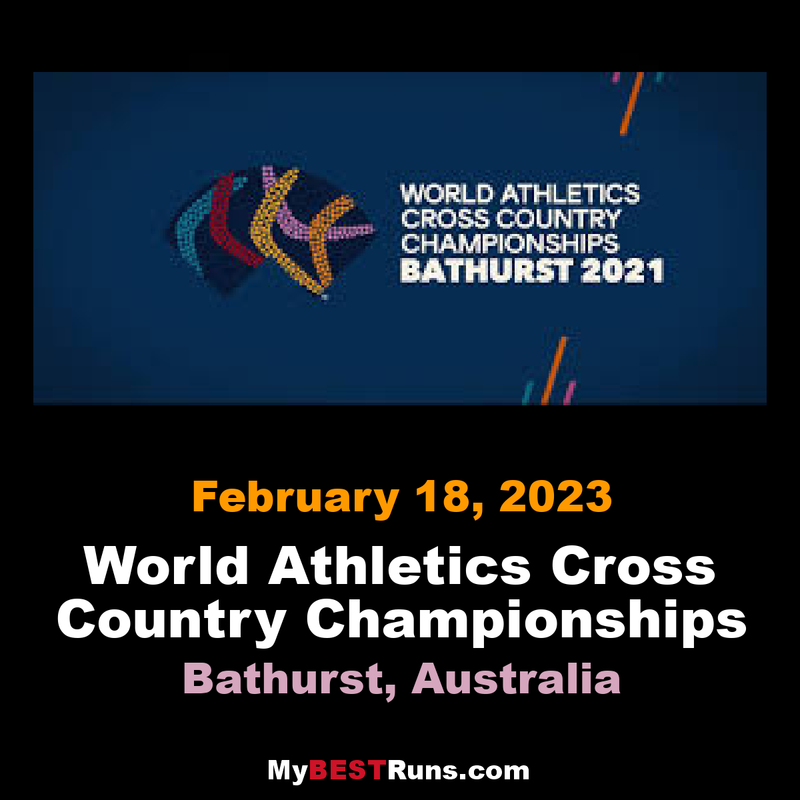 Also running is distance stud Jakob Ingebrigtsen in the U20 men’s race, 5,000m world champion Hellen Obiri in the senior women’s race and world juinor 5,000m champion Beatrice Chebet in the U20 women’s event. The IAAF president and former Olympic medallist Seb Coe and Frederik, Crown Prince of Denmark, are taking part in the 8K event. The Crown Prince is an avid runner. 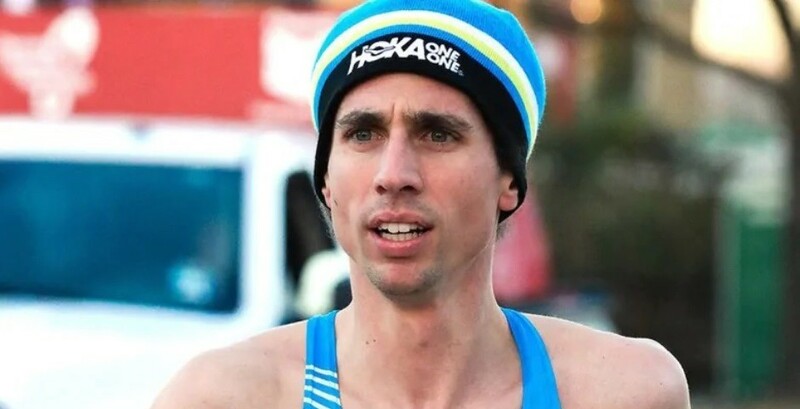 Canadian marathon record-holder Cam Levins announced on Tuesday evening that he is out for the 2019 London Marathon, due to an injury. Levins told Athletics Illustrated that he’s dealing with what he believes to be patellar tendinitis, which has prevented him from training properly since the New York Half-Marathon on March 17. Levins was heading into London hoping to break his own Canadian record of 2:09:25 set in October 2018 at the Scotiabank Toronto Waterfront Marathon. There he became the first Canadian to ever go under 2:10 for the marathon. The London men’s and women’s fields are historically deep. 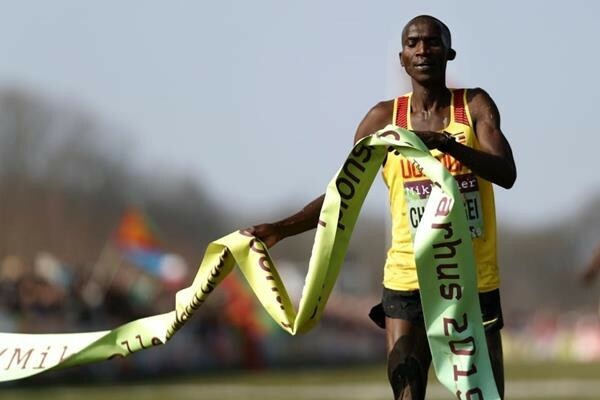 The men’s race will feature world record-holder Eliud Kipchoge, half-marathon world record-holder Abraham Kiptum, Olympic gold medallist (in the 5,000m and 10,000m) Sir Mo Farah, and 2018 London Marathon second-place finisher Shura Kitata. Helen Davies is bang on course to smash her personal best for the marathon, when she defends her Brighton Marathon title next month. Davies confirmed her red-hot form by easing to another victory at the hugely-popular Colchester Half-Marathon on Sunday, to complete her build-up to the 26.2-miler on the East Sussex coast on Sunday, April 14. 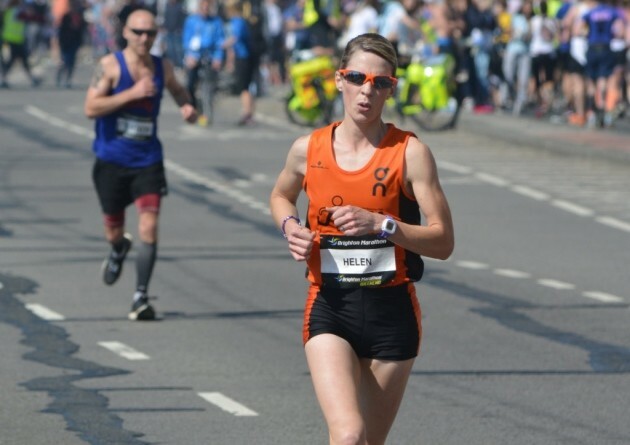 The Ipswich JAFFA stalwart has now won the ladies’ title at the Colchester event for the last four years, while in Brighton she will be attempting to complete a hat-trick of marathon wins. Before taking a break from competitive running to start a family, just under seven years ago, Davies had already enjoyed a terrific running career. She had represented Great Britain in the women’s marathon at the European Championships in Barcelona in July, 2010 (2hrs 43mins 00secs), and just three months later she ran for England at the Commonwealth Games in the heat of Delhi (2:49:24). Two years later and Davies posted her personal best time of 2:34:11 at the London Marathon of 2012. Without a lot of fanfare, Shadrack Kipchirchir has emerged as one of American’s premier distance runners today. The current U.S. Cross Country champion, Kipchirchir won the US 10-mile and 5K championships in 2018. Kipchirchir has been quietly, methodically laying a solid distance foundation since he graduated from Oklahoma State in 2014. He made the World Championship team at 10,000 meters in 2015 and 2017 (where he set a PB and #3 all-time US mark of 27:07), the Olympic team in 2016, and World Cross Country in 2017. But often, he’s finished as the bridesmaid. If nothing else, however, he’s patient. And he always has a plan. Back in 2016, Shadrack Kipchirchir and his wife, Elvin Kibet, already had a house, a car, plants in the window, Kipchirchir’s Olympic jersey on the wall. He had a job and a running career. He had investments. 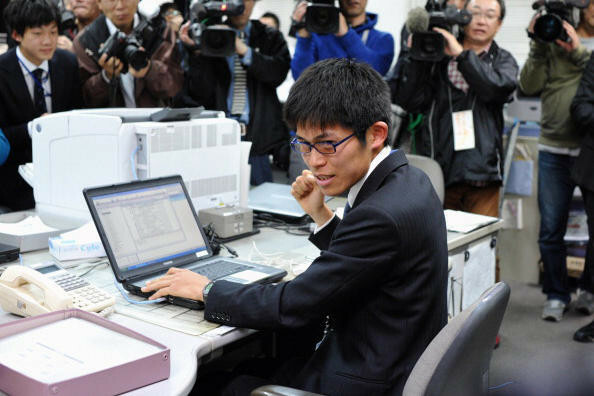 For a 27-year-old who’d arrived in this country as a college freshman carrying a suitcase only six years prior, he was impressively established. Not flashy but solid, bankable. Circumstances like that don’t just happen. His success has not been built in a flash of glory, but patiently, brick by brick. 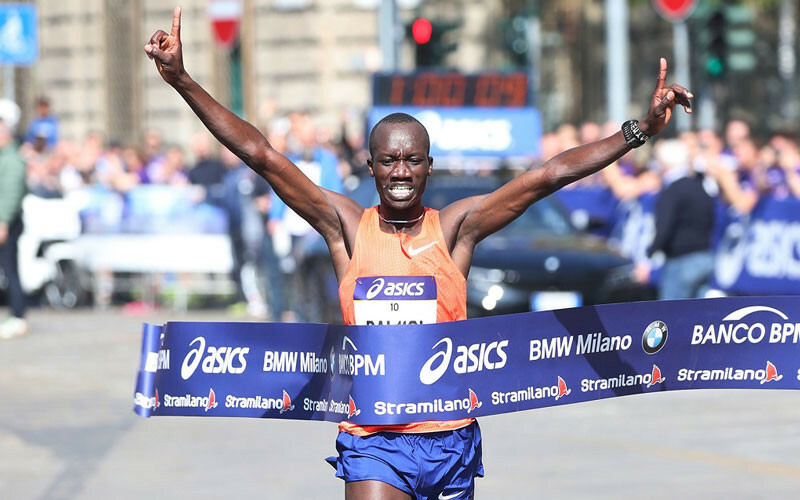 In fact, Kipchirchir’s first experience with running came after high school in 2009 when he joined a training camp with others hoping to earn an athletic scholarship from a US college. It was a path his older brother had already taken. His efforts paid off. Nine months later, Kipchirchir was offered a scholarship at Western Kentucky. He was All-American in cross country as a freshman. The 34-year-old Kenyan has been out for two years on maternity leave, but surprised her rivals by winning her first international race since her return at the Stramilano Half Marathon on Sunday, edging Ethiopia's Meseret Meleka to claim the win in 1:08:26. Now Jeptoo, who is also a former New York and London Marathon winner, says she will be ready for the 42km distance in the autumn. "I have dedicated the past two years to my family and I did not compete due to maternity leave," she said. "I am happy with my comeback. Last week I fell during training and I was not in top shape. I will run a half marathon in Gothenburg in May and possibly a marathon in the autumn," she added. Jeptoo had not raced since October 2016 when she finished fourth at the Amsterdam Marathon in a time of 2:25:57. However, she has ruled out running at the Athletics World Championships in Doha later this year. "I have been there before and done my part. I am done with the national team. I also need a few races up my sleeves to be certain that I am back to my level best," she added. The Berlin, Chicago and New York Marathons are some of the big city races that interest Jeptoo, and she is also open to compete in China at either the Beijing or Shanghai Marathon. Held in warm weather conditions with a temperature of 22C, Jeptoo returned from a two-year maternity break to win the women’s race in 1:08:26. Rerimoi, meanwhile, was a surprising winner of the men’s race in 1:00:10, beating steeplechase specialist Jairus Birech, who finished runner-up in 1:00:32 on his debut at the distance. Jeptoo and Ethiopia’s Meseret Meleka took an early lead in the women’s race, covering the first five kilometres in 16:10 and 10 kilometres in 32:16. Kenya’s Lucy Murigi Wambui, twice world mountain champion and Stramilano winner in 2014, was in third place at that point with 33:07. Jeptoo, the 2011 world and 2012 Olympic silver medallist, pulled away from Meleka after the half-way point and went through 15 kilometres in 48:27. The 2013 London and New York City marathon champion stepped up her pace in the final six kilometres and romped home in 1:08:26 in Piazza Castello in the centre of Milan. Meleka finished second in 1:10:39, ahead of Wambui (1:11:47). Jeptoo, now 34, hadn’t raced since October 2016 when she finished fourth at the Amsterdam Marathon in 2:25:57. Kenya’s Paul Tiongik took the early lead in the men’s race, clocking 13:55 for the first five kilometres. He was followed 15 seconds later by a chasing group comprising Rerimoi, Birech, James Kibet and James Mburugu. Birech, a two-time Diamond League champion in the steeplechase, had a five-second lead over Rerimoi at 10 kilometres, reached in 28:14. 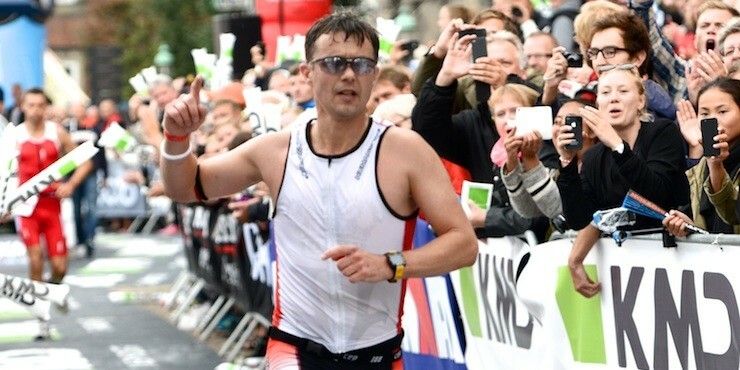 His lead grew to 17 seconds at 15 kilometres, which he passed in 42:32. Rerimoi came from behind in the closing stages and overtook Birech at 18 kilometres. He crossed the finish line in 1:00:10, smashing his previous of 1:01:19 set last year in Japan, where he lives and trains. Fee’s time of 1:30.76 in the 400m was 16 seconds faster than the previous record set by Ugo Sansonetti of Italy in 2010, and his 800m performance of 3:42.5 took 34 seconds off Antonio Nacca’s previous record set in 2014. Fee was a decent runner in his school and university days, but left the sport for a number of years, taking it up again in 50s. 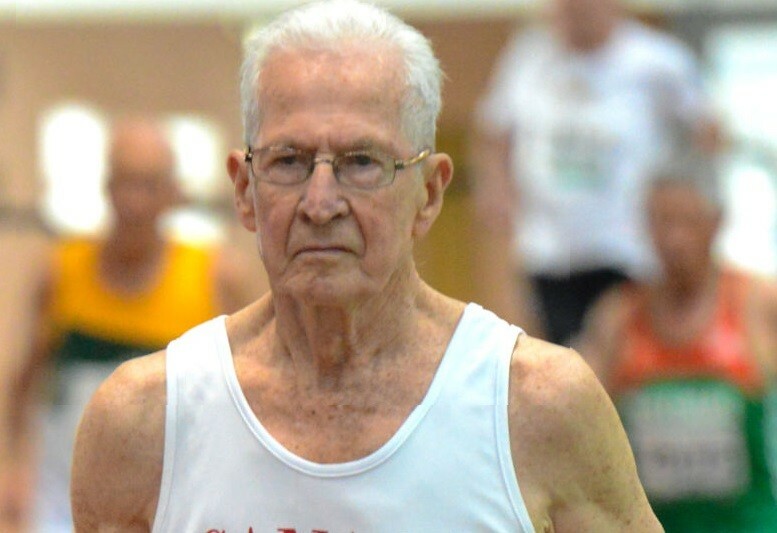 He soon started breaking age-group records on the track. Fee still holds the M85 world record in the indoor 400m, and the M70, M75, M80 and M85 records in the indoor 800m, as well as the M75 record in the indoor mile, the M80 record in the 4x400m relay (anchoring a team that included the late Ed Whitlock), and several outdoor age group records. 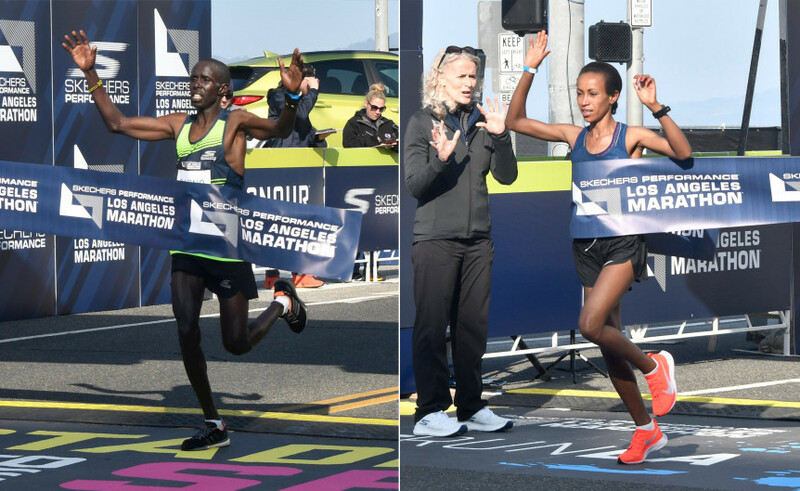 Twenty miles into the 34th Los Angeles Marathon Sunday morning Kenya’s Elisha Barno had already conceded the race to his countryman John Korir. 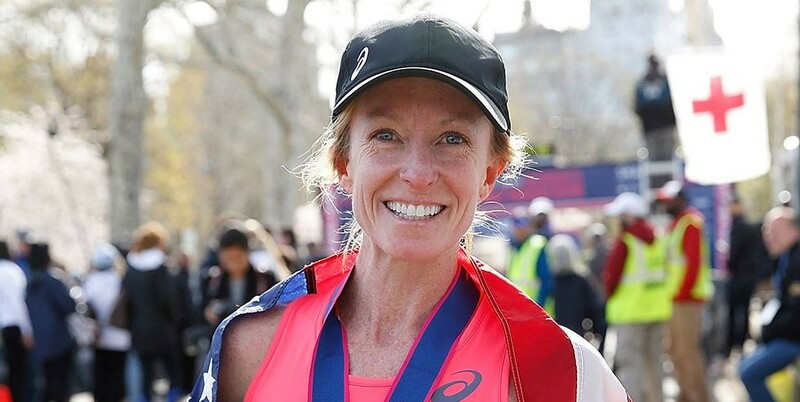 Thirteen years after she ran her American marathon record of 2:19:36, Deena Kastor is still setting American records. 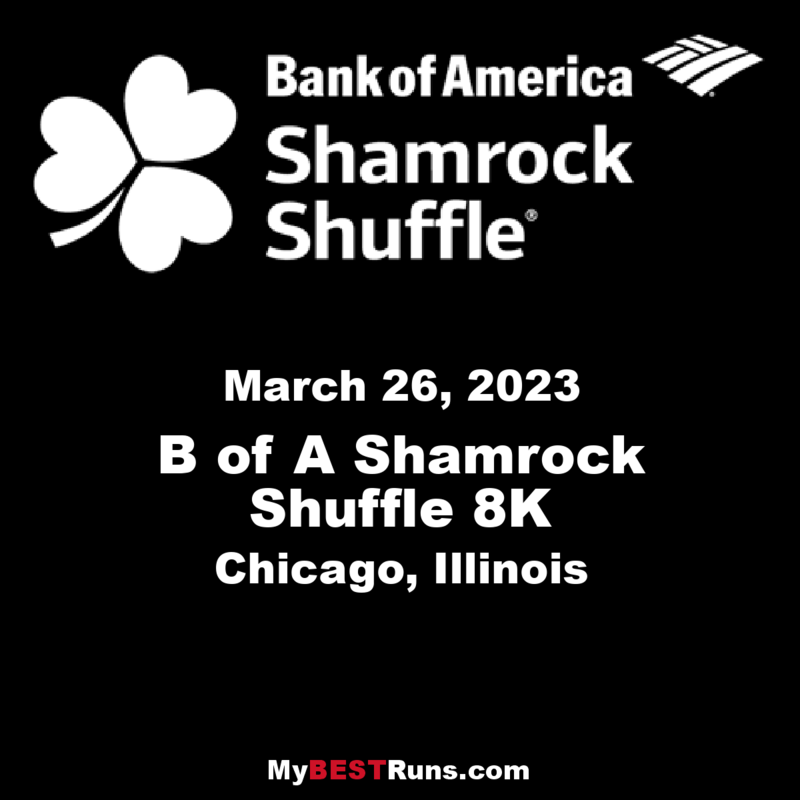 On Sunday afternoon at Chicago’s Shamrock Shuffle, the 46-year-old ran an American masters 8K record of 27:12, besting the previous mark held by Carmen Troncoso at 27:45. Kastor also holds the outright national record at this distance (24:36), and she set it at the same race, back in 2005. This time though, it looks like she didn’t set out with the goal of breaking the master’s record–it just happened. Kastor struggled recently at the Tokyo Marathon, finishing in 2:51:58 in cold, wet conditions that some said rivalled those at last year’s Boston Marathon. It was her fifth of six Abbott World Major Marathons, the final one being Berlin, which she may race in September. She continued, " I have been running since I was 11 years old and have learned over the years that there is no greater influence on success than the power of optimism. When we are positive, we master our physical potential. The power of our own thinking can open doors and elevate our performances. With optimism I have been able to pursue every goal, win medals, earn American and world records, but more importantly, I’ve been able to be resilient in the face of injury and falling short. Optimists are dreamers, believers and solution seekers. I believe that these lessons are universal and not running exclusive." She goes into details in her new book Let Your Mind Run. It has been a great day for national marathoner Soh Rui Yong. 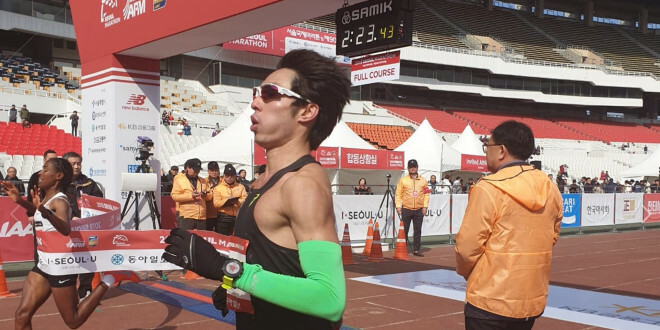 All of his hard work and training has been paid off when he clocked at 2hr 23 min 43 sec at the Seoul Marathon on Sunday Morning (March 17th). It is a big deal for him as he broke the 24 year old record at the event. The effort he put in during that race is what he would consider a big achievement as it has always been his goal to go under 2:24. As a matter of fact, he was planning to do that at the Tokyo Marathon earlier this month. However, he had to withdrew from the race due to a mix-up where he was placed in a mass start up pen instead of the elite and sub-elite group. Soh Rui Yong is also known for his previous achievements where his previous best in the Chicago Marathon back in 2016 was 2:24:55. He also has obtained 2 gold medals in the SEA games. He also mentioned how this marathon is the only serious attempt at record. When it comes to previous marathons, he was “unsure of his fitness going in” but this time he managed to go in fit and healthy. Soh Rui Yong has done 5 weeks worth of training in Flagstaff, Arizona which is located in the United States. Even with an Achilles heel injury which caused clocking in lower mileage, Soh Rui Yong managed to keep his confidence that he would go under 2hr 24 min as his key workouts there were faster than before. Soh Rui Yong is not just hardworking in his sports career but even in his working career. He is current working in business development and is also a sports ambassador with lifestyle portal called The Smart Local. Injuries can quite literally stop a runner in his or her tracks. Recent research suggests that half of sports injuries lead to an average of three weeks without training or competing. 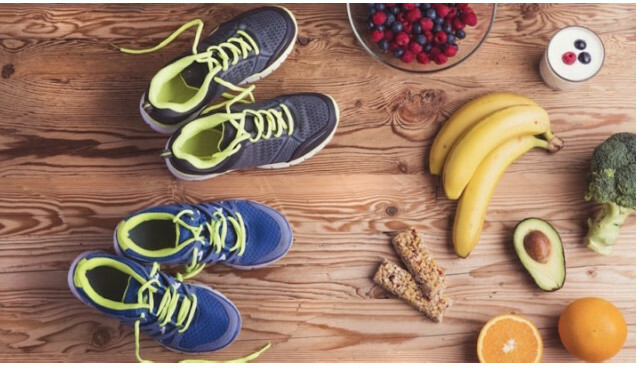 Cross-training, physical therapy and biomechanical assessments are well-established aspects of the treatment process, but often overlooked is the role of nutrition in the recovery from injury. Dr. Keith Baar, a researcher at the University of California, Davis, believes that nutritional support is a critical element of recovery. “A greater understanding of the role of nutrition in healing has evolved in the past three to five years,” says Dr. Baar. In one case study, by following an injury-specific nutritional program, the athlete displayed half of the muscle atrophy in the immobilized leg that was expected. Since a return to running after injury is often dictated by the rate of muscle function, maintaining muscle size and strength may significantly hasten recovery. Working backwards, in order for the collagen-building nutrients to be floating in the blood stream ready for absorption, meals need to be consumed approximately one hour before exercise. Baar names four important amino acids—lysine, hydroxylysine, hydroxyproline, and proline—as those that have shown the greatest promise in building collagen. Lysine, an essential amino acid found in meat, cheese and eggs, may play a particularly important role in the health of bones, connective tissue and skin. While both scientific and clinical studies have indicated that these amino acids may actually strengthen ligaments and tendons, no long-term research has been carried out to determine the preventative effects of nutritional interventions. Facilitated by a better blood flow, nutrition may play an even greater role in the growth and recovery of muscle tissue. Amino acids, the building blocks of muscle protein, are readily delivered to muscles and consequently, an adequate daily protein intake may be essential in maintaining muscle mass during injury. Studies also have show that in periods of inactivity, healthy muscle tissue atrophies at approximately 0.5 percent per day. For a runner that has suffered serious injury, two to three weeks of immobilization can lead to a loss of 10 percent of muscle mass. As muscle strength declines at approximately three times the rate that muscle tissue is lost, it doesn’t take a mathematician to realize that extended periods of inactivity can result in big losses in strength. Without a focused exercise effort—possibly months of rehabilitation—these losses are frequently never recovered, perhaps forever influencing injury risk and performance. Baar stresses that these recommendations aren’t just for those that have been injured—they also apply to those recovering from hard exercise sessions, a time when muscle breakdown also occurs. “To repair the muscle damage that occurs after hard exercise, a good, well-timed nutritional support program emphasizing leucine-rich proteins is very important.” Sadly, for those that love a post-workout beer or Chardonnay, excessive alcohol (more than 4 drinks) can impair muscle recovery. Owing to the observation that muscle recovery is ramped up during two different time periods, 18 and 48 hours after exercise, those runners attempting to optimize muscle recovery should aim to ensure that recovery foods include leucine rich foods (egg whites, chicken, tuna, turkey, dairy products). Energy balance is critical. Higher protein intakes (2–2.5 g/kg/day) seem to be warranted during immobilization. This can be broken up into 4-6 small meals/day. At the very least, care should be taken not to reduce the absolute amount of protein intake when energy intake is reduced. The former world and Olympic silver medalist is the big name with a personal best time of 65:45 over the 21km distance and 2:20:14 in the full marathon. She has not competed on the big stage since 2016. "I have not retired and have been training as hard as possible. I had injury challenges, but they are behind me for the time being and it will be a new start for me in Milan on Sunday," said Jeptoo in Nairobi. Former world mountain running champion Lucy Wambui, the winner in 2015 with her still PB of 70:52, is back to try to regain her title, while another Kenyan, Ivyne Jeruto Lagat (71:51) will also figure highly. Beatrice Boccalini, who set a fast time of 73:36 in December, heads home team. In the men's race steeplechaser Jairus Birech, who was fourth at the 2015 World Championships, will be making his half-marathon debut. Birech, who has had it hard to contend with emerging competition in the water and hurdle race, will seek to carve his niche in the road race and will be joined by compatriot Fredrick Moranga, who won the race two years in 61:20. "I still have hopes of making the Kenya team to the World Championships in the steeplechase. But I have to focus on the race ahead and I have no clue how I will perform. It is a new challenge, which I hope my body will take in its stride. But I expect a podium position," said Birech on Saturday. It was a couple of months ago that Weldon Kirui struggled at a half-marathon in Houston, finishing well behind the lead pack. Disappointed, the Kenyan long-distance runner looked ahead to his next race. “I know what I need to do for L.A.,” he told his agent. If anyone understands the course and conditions in Los Angeles it would be Kirui, who will start this weekend’s L.A. Marathon looking to become the event’s first three-time winner. After victories last year and in 2016, he has made himself right at home in Southern California. 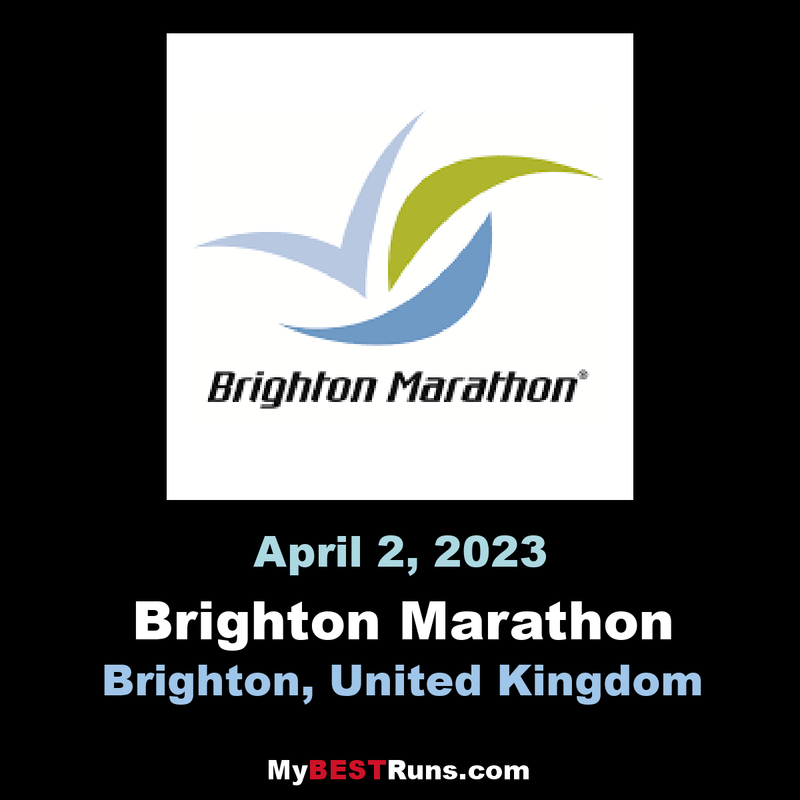 Nearly 24,000 runners are expected to participate in this year’s edition of the marathon, which dates back more than three decades to the afterglow of the 1984 Summer Olympics. At several points in its history, organizers have talked about rivaling the big boys in New York, Boston and Tokyo. 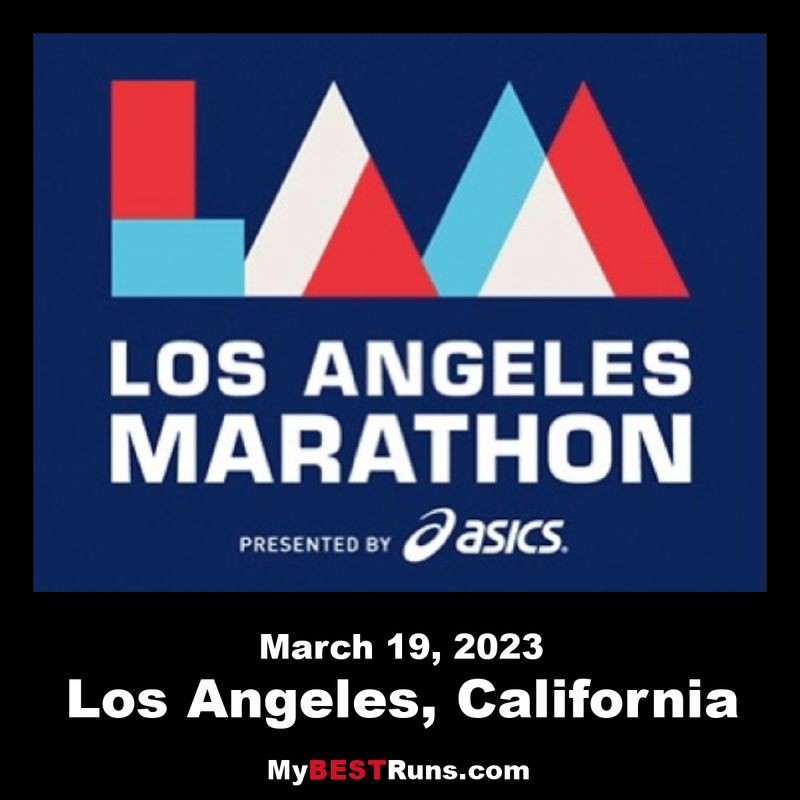 But the elite marathon calendar is packed, and elbowing for higher status requires six-figure prize money, more than L.A. has been willing to offer. This year, the winner’s purse will be $23,000 for first place in each division. The annual race draws massive crowds of runners who are attracted by a “stadium to the sea” course that begins at Dodger Stadium and weaves past various landmarks on the way to Santa Monica. Though men’s winners have not consistently broken the benchmark of 2 hours, 10 minutes, the marathon has nonetheless drawn elite competition from around the world. Juan Luis Barrios of Mexico and a number of Kirui’s countrymen, including Lawi Kiptui and John Korir, are expected to race on the men’s side this weekend. 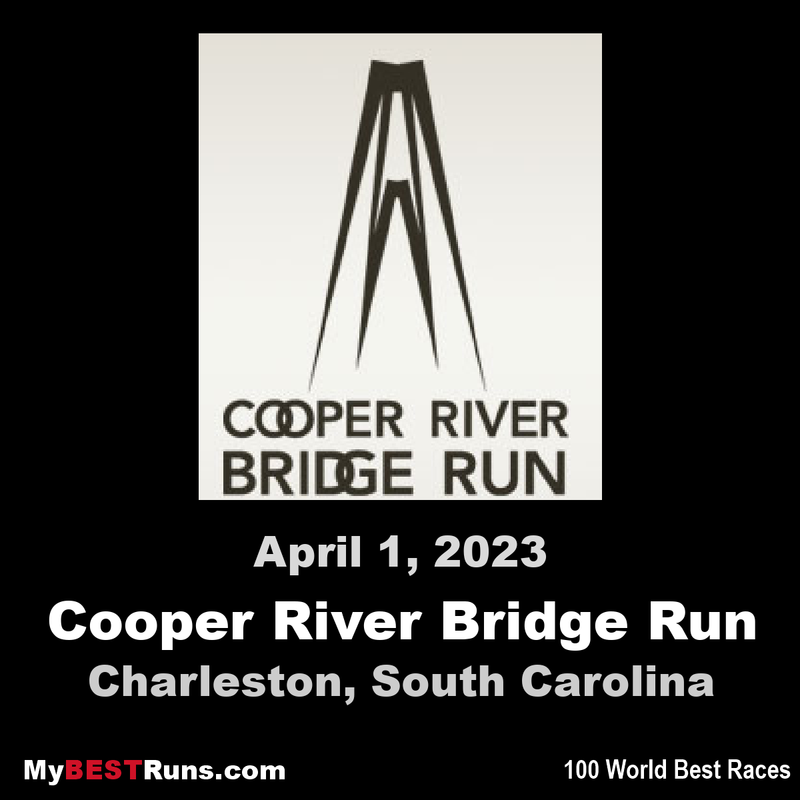 The man who led and organized the annual Cooper River Bridge Run for more than two decades has lost his battle with cancer. Julian Smith died Friday after fighting a rare brain cancer, Bridge Run officials confirmed. 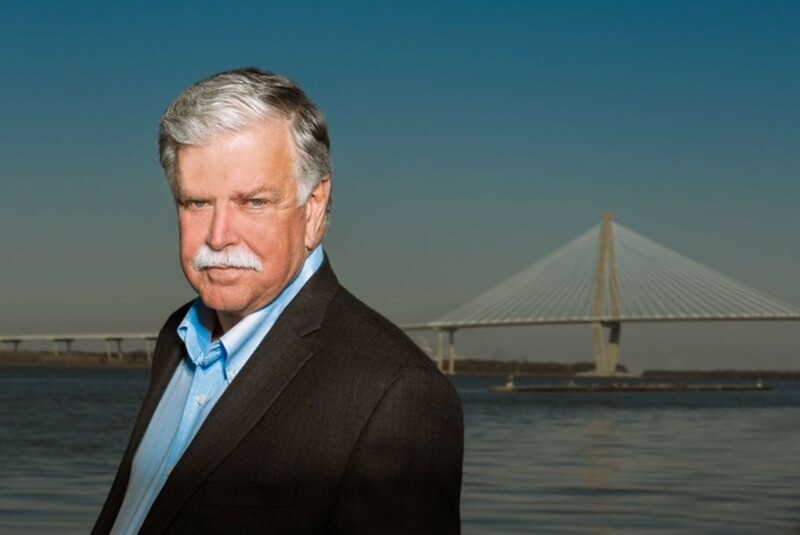 This year’s Bridge Run will be held in Smith’s honor and that Smith will have the “best seat in the house” watching from above, Batten said. 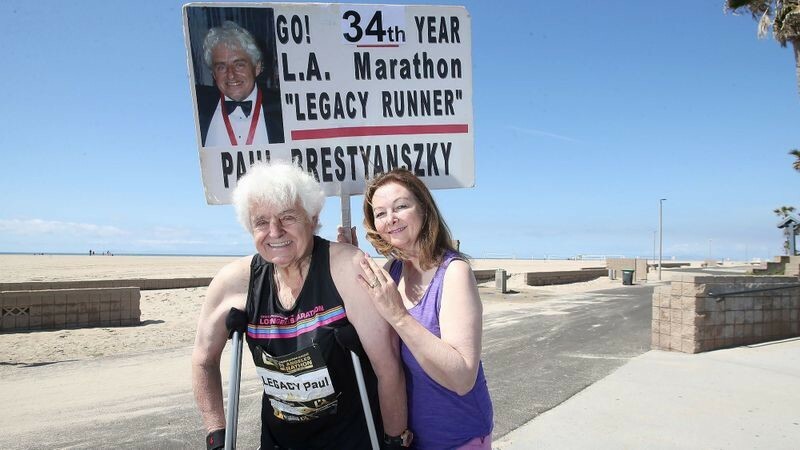 Paul Brestyanszky is a Los Angeles Marathon legacy runner, which means he is one of 178 who have completed the race every year since it started in 1986. So when the 76-year-old Huntington Beach resident fractured his knee in February, he worried he would have to break his 33-year streak. 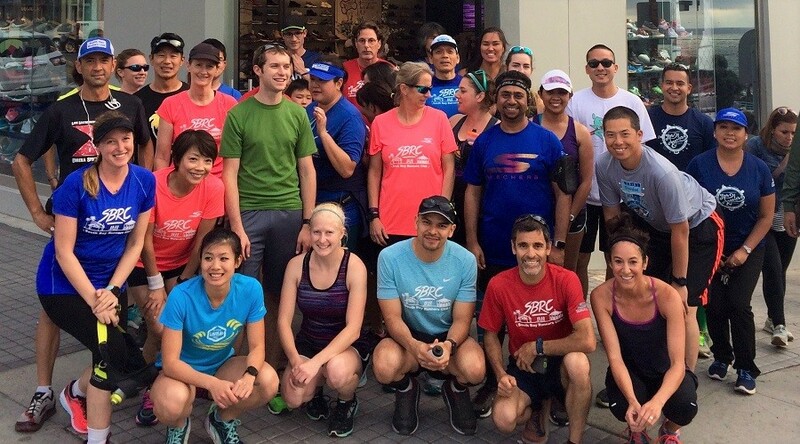 Over the decades, his fellow legacy runners — whose ages range from 40s to 80s — have become like family to him. Every year, a group meets a few weeks after the marathon for what it calls a DAB (damage assessment brunch) to see how many people made it. After his injury, Brestyanszky sent out a mass email with the tongue-in-cheek title “Breaking News,” asking the legacy runners for advice. One told him he had to do the marathon several times in leg braces. Another did it several years ago on crutches, even though it took him 11 hours. Brestyanszky took away from the conversations that it was still possible. So on Sunday, Brestyanszky, who didn’t run a marathon until he was 41, will try to complete his 34th L.A. Marathon on crutches, with a small group of fellow injured legacy runners by his side. Brestyanszky’s doctor and his wife, Mila Cangelosi-Brestyanszky — who cheers him on annually with the sign she made in Year 19 — knew they couldn’t stop him. But they made him promise he will quit if his knee starts to throb. He once had a bad fall in the middle of a race. But the only time he’s considered not finishing was in 2011, when there were torrential rains and thousands of people were evaluated for hypothermia. When his wife greeted him at the end of the race with a beer, as she always does, his lips were blue and he joked about needing two shots of tequila, no ice. As usual, he plans to pace himself, make sure he has a sip of water at each station and make a quick stop for Starbucks coffee around Mile 20 to help him avoid the “wall,” the point in a marathon where it goes from difficult to unbearable. Jim Mackert is no spring chicken. He's an 82-year-old marathon runner. The legacy runner has run 65. 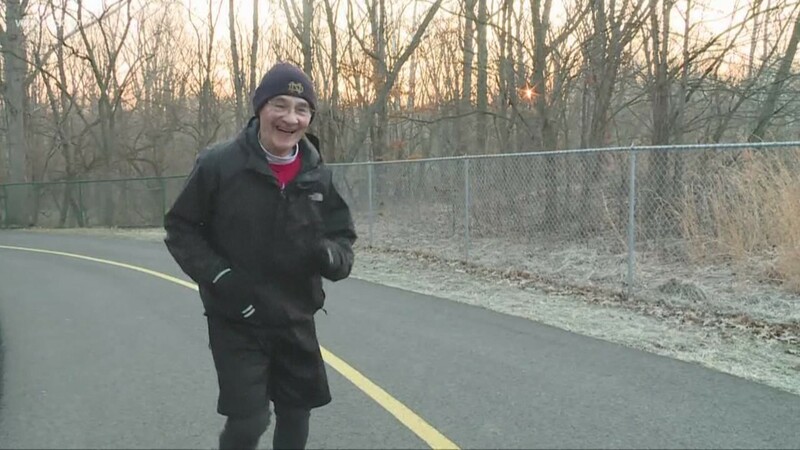 And, he's the oldest person running 26.2 miles in this year's Rite-Aid Cleveland Marathon. Crossing that finish line in May means that Mackert is the only person to have competed in all 42 of Cleveland's marathons. "When I went in 2007, I was 70 years old and in training I pulled a muscle doing my hill workouts," he explained. "But I said I was going no matter how my leg felt." Ultra superstar Michael Wardian set a new Fastest Known Time (FKT) for the Israel National Trail, covering the 631-mile journey (south to north) in 10 days, 16 hours and 36 minutes (unofficially) March 22 in Israel. Event organizer Ian Corless wrote, “it’s difficult to put into words a 10-day journey of 631-miles. Especially when someone has run the whole distance. I have to say, mine was one of relief. “Mike had done it. He had achieved his target of running the INT in 10-days and to be part of the journey is beyond rewarding. I witnessed intense highs and lows. So, to finally watch Mike touch ‘home’ and finally be able to stop, I had relief and immense satisfaction of a job well done. Others have covered this many miles in 10 days but no one has covered this many miles in this amount of time on such a challenging course. Michael’s goal was to complete this journey in 10 days and he did it smashing the FKT by several days. This may be a record that will never be broken. "This record has been more than a running adventure. It has been an incredible journey that not only allowed us to cross from one end of a country to another, but it has opened our eyes to the beauty of Israel. "It’s a diverse landscape all compressed into a very small area. The deserts of the south were truly mind-blowing, the best deserts I have witnessed. The green and stoney trails of the north provided a stunning contrast to the red of the south. And throughout this journey, the people of Israel have welcomed us, supported us and helped Mike in a way that none of us could have predicted. "But the help has not only come from trekkers or runners, the story of Mike’s journey has spread throughout Israel and made multiple news channels and in doing so has created awareness. People have come out to offer best wishes and even offer a place to sleep or provide food. Japan's 39-year-old Suehiro Ishikawa, 2016 Rio Olympics marathoner announced that he will retire from competition at the end of the month. At the time of the Rio Olympics Ishikawa was 36 years and 11 months old, surpassing 1996 Atlanta Olympics marathoner Hiromi Taniguchi's record of 36 years and 3 months to become Japan's oldest-ever Olympic marathoner. He finished 36th. "Since I started running high school it's been 24 years," said Ishikawa at the press conference. "I've been with Honda for 17 years, and I made it all the way to the top, the Olympics. I'm glad that I've kept going this long. 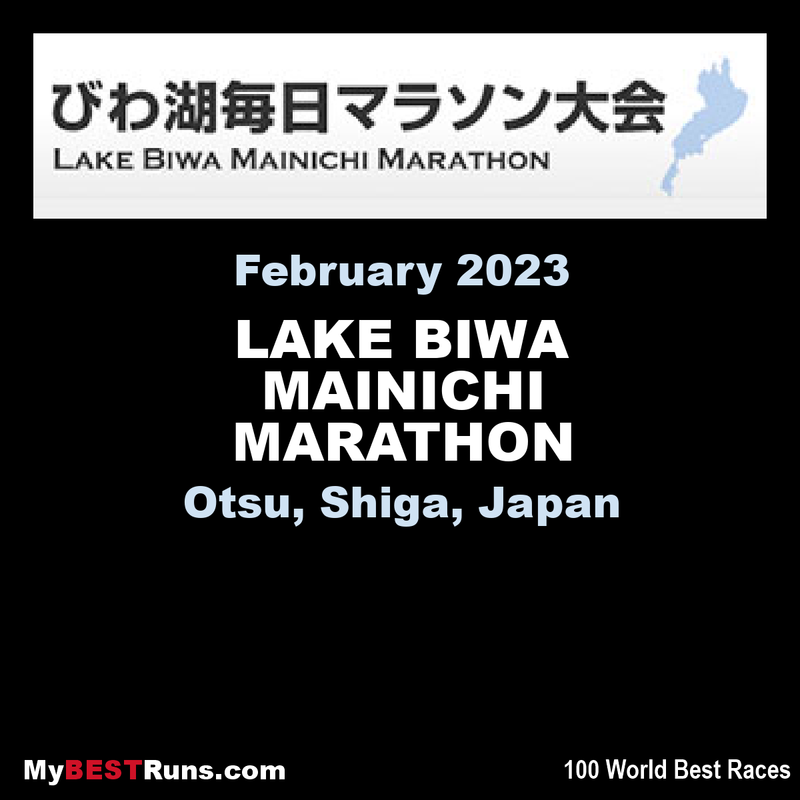 Ishikawa ran the Lake Biwa Mainichi Marathon on March 10 but dropped out after only 10 km. It will be his last race of his career. "It was the first time in my career that I'd ever DNFd, and I thought, 'OK, this is where it ends,'" said Ishikawa. Shortly after the race he made the decision to retire. Beginning in April he will become an assistant coach with the Honda team. 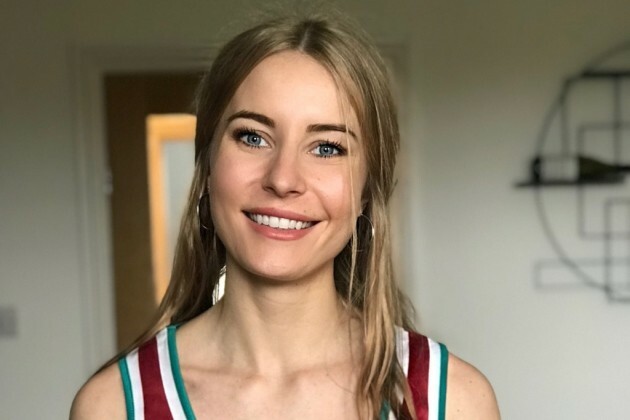 Sophie Morgan, 25, will be running for the Cardiomyopathy UK charity in April after her cousin’s heart suddenly stopped working 21 years ago. “We lost my cousin 21 years ago to hypertrophic cardiomyopathy, a genetic heart muscle disease," she said. "He was in his 30s with young children so it was a huge shock for us all. “When we later found out that his heart had just stopped, it was the first time we became aware that this hereditary disease ran in the family. “A number of my family have since been diagnosed with cardiomyopathy. I feel incredibly lucky that I’m able to run, while so many of my family members cannot because of this disease. Cardiomyopathy refers to diseases of the heart muscle. These diseases have many causes, signs and symptoms, and treatments. In cardiomyopathy, the heart muscle becomes enlarged, thick, or rigid. In rare cases, the muscle tissue in the heart is replaced with scar tissue. As cardiomyopathy worsens, the heart becomes weaker. It's less able to pump blood through the body and maintain a normal electrical rhythm. This can lead to heart failure or irregular heartbeats called arrhythmias. In turn, heart failure can cause fluid to build up in the lungs, ankles, feet, legs, or abdomen. The weakening of the heart also can cause other complications, such as heart valve problems. Cardiomyopathy can be acquired or inherited. "Acquired" means you aren't born with the disease, but you develop it due to another disease, condition, or factor. "Inherited" means your parents passed the gene for the disease on to you. Many times, the cause of cardiomyopathy isn't known. Cardiomyopathy can affect people of all ages. However, people in certain age groups are more likely to have certain types of cardiomyopathy. This article focuses on cardiomyopathy in adults. 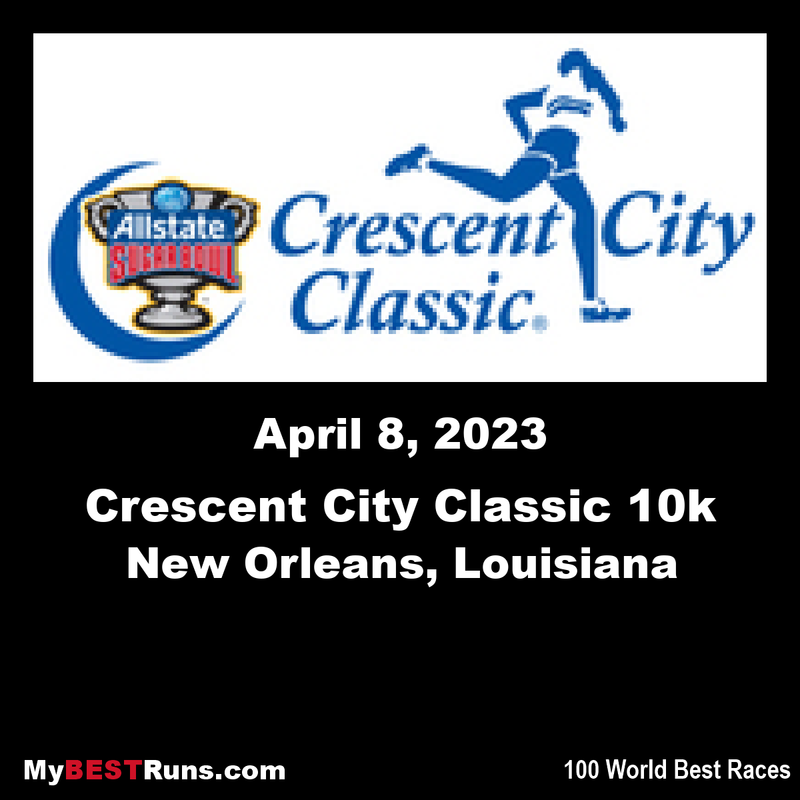 With the 41st run of the Allstate Sugar Bowl Crescent City Classic just a little over six weeks away, officials with the Crescent City Fitness Foundation announced a goal of raising $1 million for local nonprofits. The nonprofit partners recruit and organize teams of 100, 75, 50, or 25 runners and walkers who commit to raising a minimum of $200 for their charity by race day. Official charity runners receive various perks and incentives as part of the “RUN FOR IT” program including private party tent access, starting position in the charity corral and personal online fundraising page. 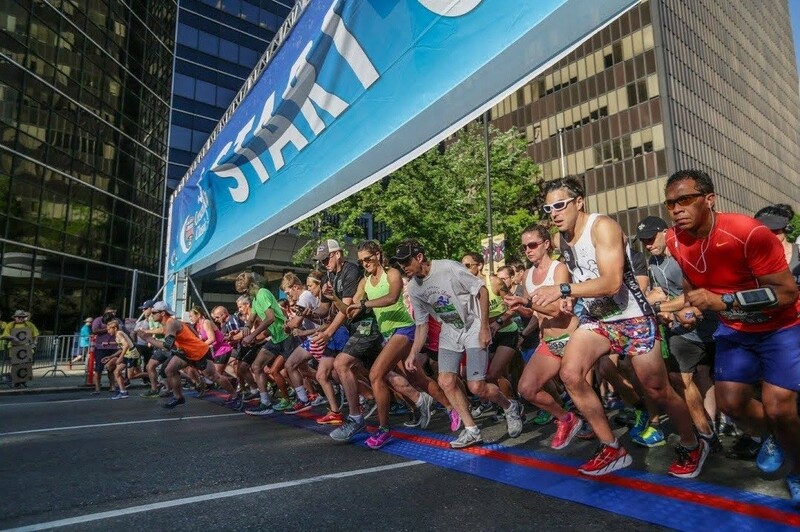 The Allstate Sugar Bowl Crescent City Classic 10k road race, expected to attract almost 25,000 runners and walkers, for its 41st running, will be held Saturday, April 20. The 6.2 mile course begins outside the Mercedes Benz Superdome and runs through the historic French Quarter to City Park where the popular Michelob Ultra Post Race Fest is held. This year’s after party will feature the Phunky Monkeys playing in concert as festival-goers enjoy 227 kegs of draft beer and 43,000 servings of red beans and jambalaya. 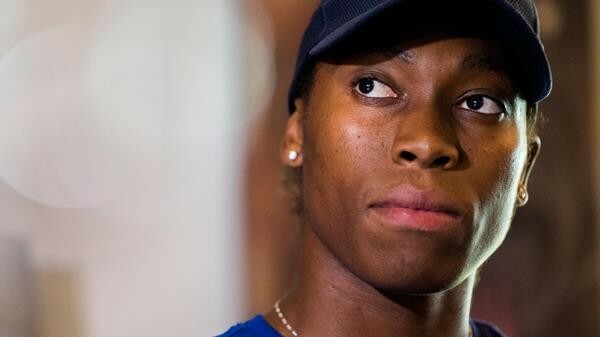 The Court of Arbitration for Sport has decided to put off a decision in the case of South African 800m runner Caster Semenya until the end of April, with no date specified. The CAS had originally said its decision would be made public on March 26, six months before the IAAF World Championships in Doha, Qatar, which start on September 28. The IAAF’s new rules on male hormone levels in female athletes were to take effect on November 1, 2019, but are suspended pending the CAS’s decision. No reason was given for the delay. The case involves the IAAF’s new rules regarding levels of male hormones in female athletes born with differences of sexual development (DSD) competing at distances shorter than the mile. If the CAS rules in favor of the IAAF, athletes like Semenya would either have to take medication to bring her natural hormone levels down, move up in distance, or compete against men. 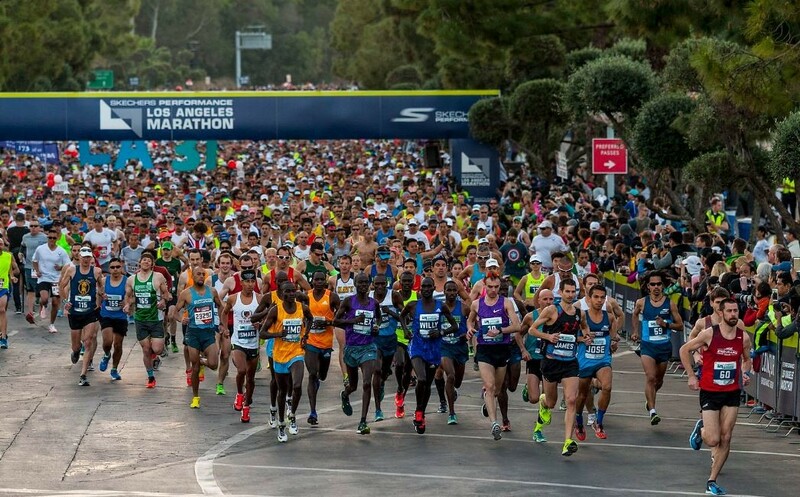 Skechers Performance returns as title sponsor for the 2019 Skechers Performance Los Angeles Marathon on Sunday, March 24. Throughout race weekend, Skechers will offer exclusive race-branded merchandise. 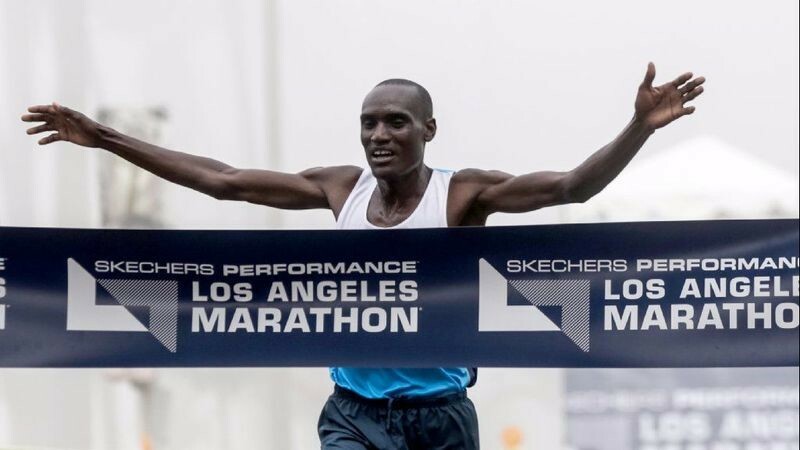 Los Angeles Marathon winner Weldon Kirui (2016 and 2918) returns to compete for a record-breaking third victory at the race. Visitors to the Skechers Performance booth at the Health & Fitness EXPO in the Los Angeles Convention Center will have the opportunity to meet Weldon, as well as four-time Olympian Meb Keflezighi on Saturday, March 23 at 11AM. Meb will also be signing his new inspirational book, 26 Marathons: What I’ve Learned About Faith, Identity, Running, and Life From Each Marathon I’ve Run (Rodale Books), which will be available for purchase. A collection of exclusive race-themed and inspired footwear and apparel will be offered at the EXPO. Influenced by the colors of LA’s top sports teams, the collection includes limited edition pairs of Skechers GO RUN Forza 3™ and Skechers GO RUN Ride 7™. Additionally, a new color of the Skechers GO RUN Razor 3 Hyper™ will debut and be available for purchase at the EXPO—this new training and racing style features an innovative Hyper Burst™ midsole and was recently named Editors’ Choice by Runner’s World. The collection is currently available on Skechers.com and at select Skechers retail stores in the Los Angeles area. 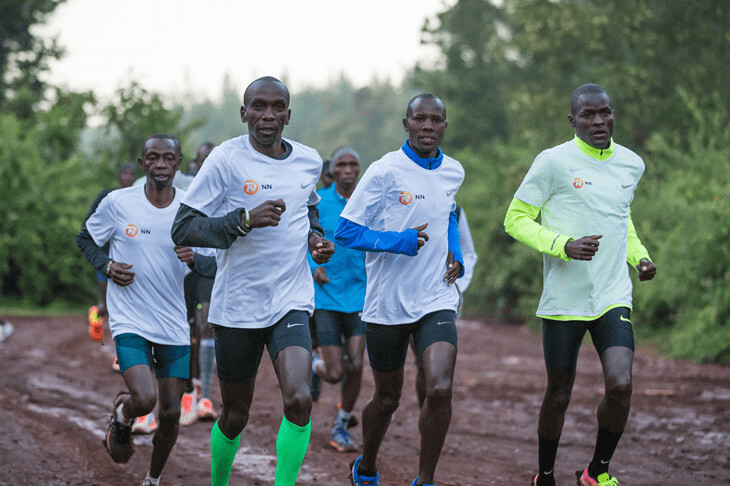 Marathon world record-holder Eliud Kipchoge has a fairly quiet social media presence, rarely expressimg personal views and using it primarily as a tool to promote events he will be participating in or to thank fans and sponsors. But on Wednesday evening, Kipchoge tweeted about the IAAF’s recent decision to remove the 5,000m from the Diamond League. The 5,000m has been crucial for my career and has helped me to become the athlete I am today. I believe in long term careers where track and field can result into a great marathon career. Many athletes, fans and coaches have expressed their concerns around removing the event from the Diamond League, which is the most competitive circuit in track and field. Many are worried that the removal of the 5,000m from the Diamond League will take an event that has helped shaped some of the greatest runners of all time, and make it irrelevant. 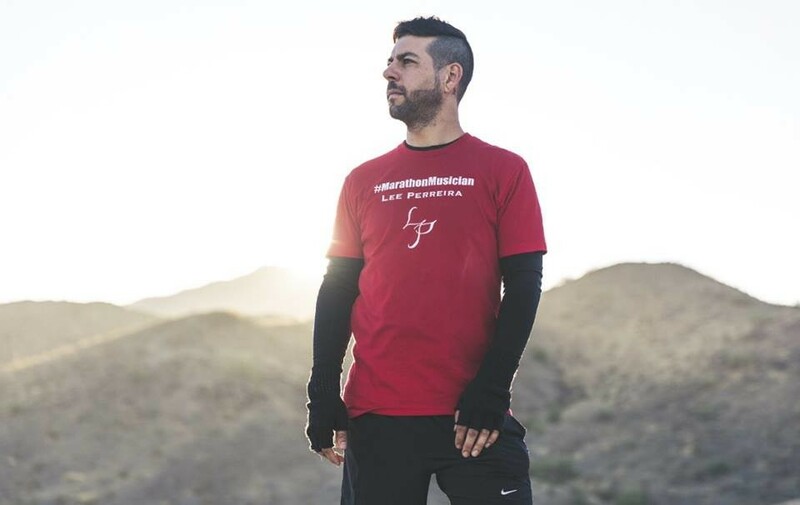 Lee Perriera calls himself the marathon musician because he can do both: play music and run marathons. Starting this Sunday he plans to run from Phoenix, Arizonia to Burbank, California. "Last year, I ran the Rock N' Roll marathon and then I performed afterward," said Perriera. Perriera says he was inspired by his favorite talk show host Ellen DeGeneres to spread love and kindness. So he'll be running from Phoenix all the way to Ellen's studio in Burbank, Calif. in hopes to be featured on her show as well as to raise $1,000,000 in the process for four non-profits. Perriera plans to split the $1,000,000 dollars four ways. He plans to donate to Ellen's WIldlife Fun, Driving Out Domestic Violence, the Arizona Healtcare Foundation, and the Arizona Cancer Foundation for Children. Each charity will get $250,000. Lee plans to stream his whole run on Facebook. "Every day for 16 days, we'll be live-streaming," Perriera said. "Each day will be a marathon until I get to Burbank, Calif."
Singer, songwriter, guitarrist Lee Perreira combines classic blues riffs with a soulfully textured vocal style leaving his audience instantly captured. The music of Lee Perreira finds its life in the continuos and passionate pursuit of musical excellence, breathing that passion into the soul of his audience. Tracing his roots back to Long Beach, California Lee began playing guitar at the age of 12. A regularly performing musician, he averages over 300 events per year throughout the U.S. Award winning artist Lee Perreira has opened for and sat in with blues Legend Buddy Guy, opened for James Bay at Mix 96.9s Sold out "Spring Thing" and also shared the night with amazing artists such as Foo Fighters, Gary Clark Jr, Train, The Fray, INXS, Journey, just to name a few. His last album Whats That Gotta Do With My Dreams? is currently on rotation at the radio. 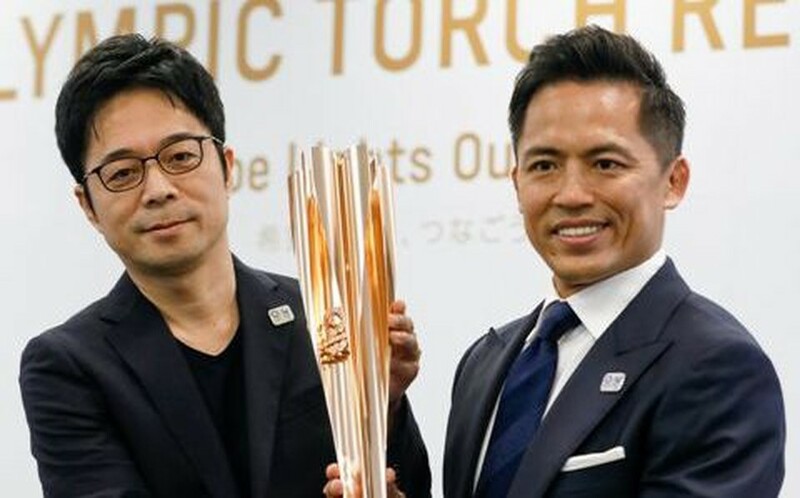 The Olympic torch incorporates several elements of Japanese culture, and reinforces Tokyo 2020’s Olympic Torch Relay concept: “Hope lights our way”. The concept is designed to bring the Japanese people together around messages of support, acceptance and encouragement of one another, while also reflecting the Olympic flame’s ability to promote peace and hope to the world. Not only do Japan’s famed cherry blossoms happen to bloom in March, coinciding with the start of the Olympic Torch Relay, but the shape of the torch also resembles a Japanese traditional “Sakuramon” cherry blossom emblem. The body of the torch features five cylinders that represent petals of the beloved flower. Flames are generated from each “petal”, which are united in the centre of the torch, lighting the way with greater brilliance. A number of technological innovations are deployed in the combustion section that lights the torch, including catalytic reaction. Further building on this spirit of innovation, the torch’s unique shape is made possible by utilising the same modern aluminium extrusion technology used in the manufacturing of Japan’s renowned bullet trains. The construction of the torch also incorporates sustainability by using aluminium waste from temporary housing that was built in the aftermath of the Great East Japan Earthquake. While the materials were once used to help rebuild lives, they will now be used to spread a message of hope and recovery. In keeping with its vision to celebrate unity in diversity, the torch was designed to ensure ease of use for everyone. It consists of a weight and shape that is simple to grip and features a position mark to help visually impaired torchbearers identify the front of the torch. Three years ago a driver, high on heroin, crashed into secret service agent Garrett Fitzgerald’s work vehicle, paralyzing him below the neck. Now he can walk with electrodes places over his muscles and is now training for this year's Boston Marathon with some help from his coworkers. They're called Team Fitz and they're raising money for the center that's trying to help him walk again. It was Don McGrail’s idea to start Team Fitz two years ago. 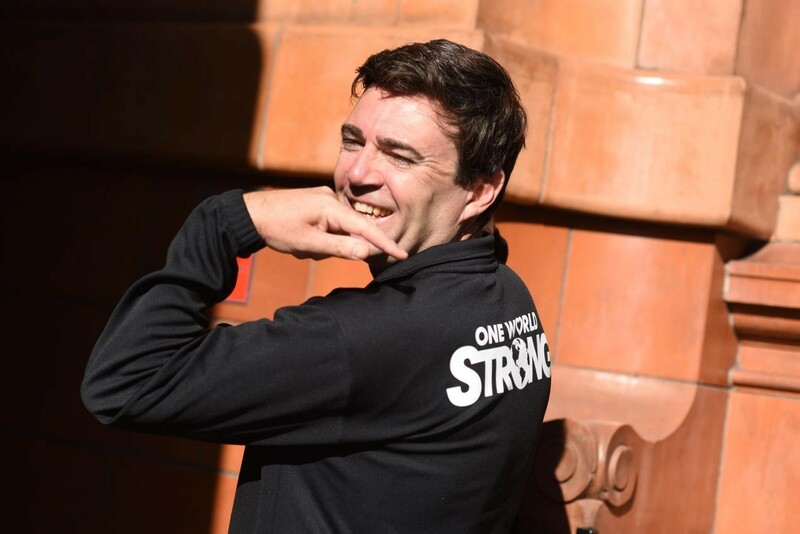 "It's really tough to see a colleague and a friend struggle as much as he's had to struggle. 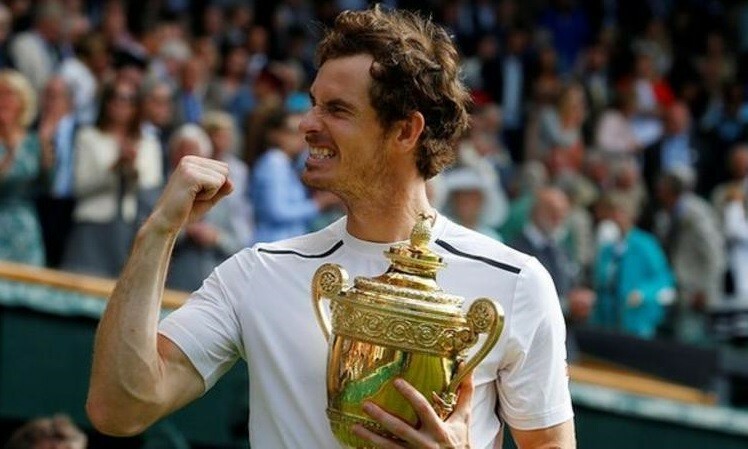 But it's been inspirational at the same time to watch his attitude the way he approaches things," said McGrail. Now Fitzgerald spends much of his week at Journey Forward in Canton, a non-profit rehabilitation center that helps those paralyzed through an intense exercise-based program. Most of the people who come to Journey Forward were told they'd never walk again. For Dan Cummings, he's living proof they can. He broke his neck almost 20 years ago from diving into shallow water. "They said I would be a dependent c-6 quadriplegic. I would spend my life in a wheel chair and I'd be lucky if i could ever feed myself," said Cummings. Cummings started Journey Forward after spending four years rehabilitating at a clinic in Southern California. He now walks with the assistance of a walker. "Why did I have to move 3,000 miles away not only to walk again, but a place to give me my life back," says Cummings. Recovery for spinal chord injuries isn't measured in inches, but in millimeters. Cummings says that at least 15 people who were told they'd never walk again have taken their first steps at Journey Forward. Garrett's goal is to walk on his own again and return to the Boston field office.